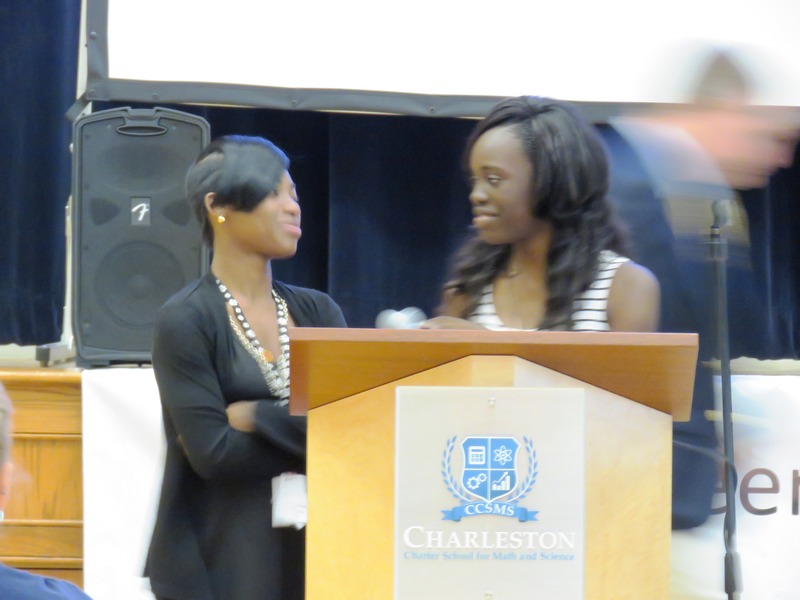 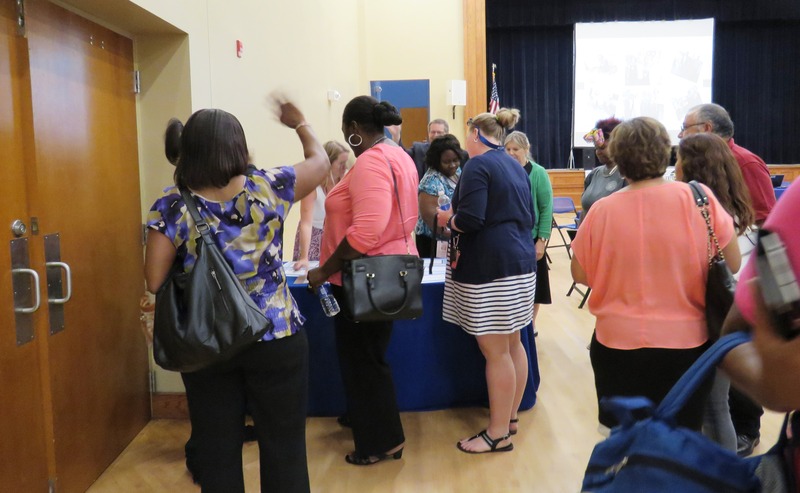 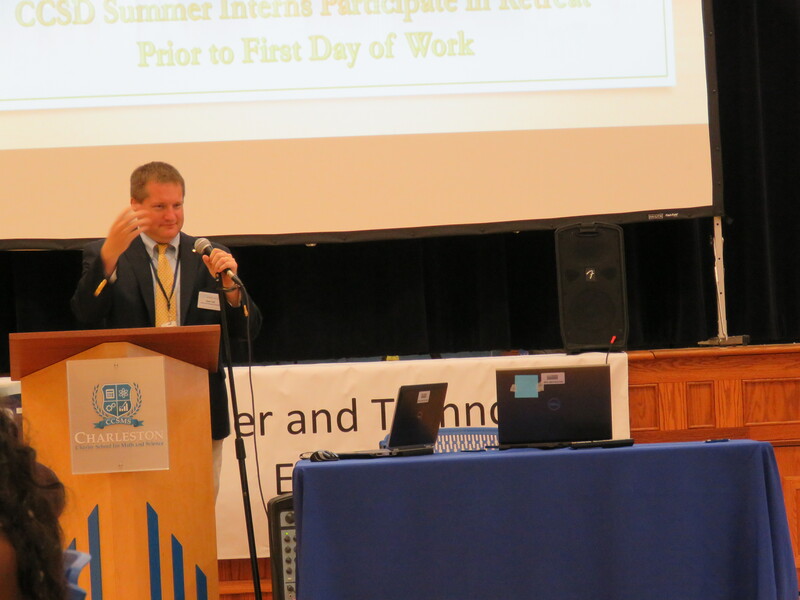 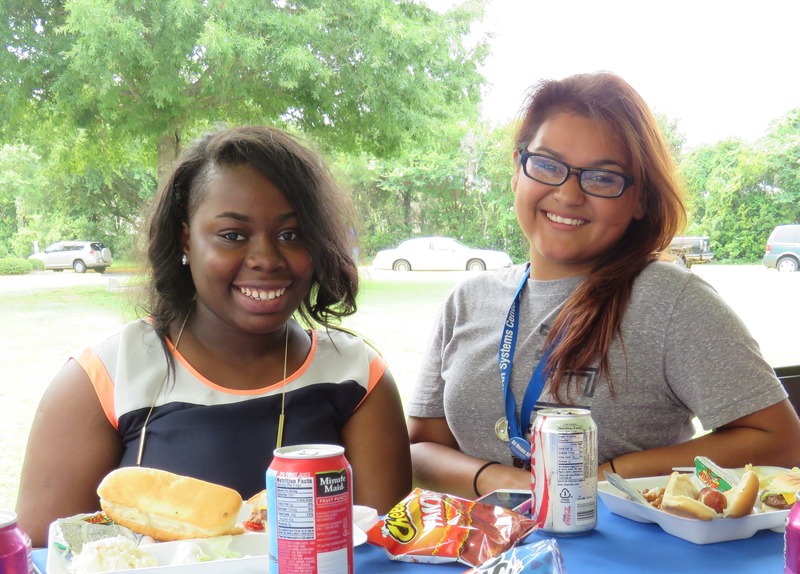 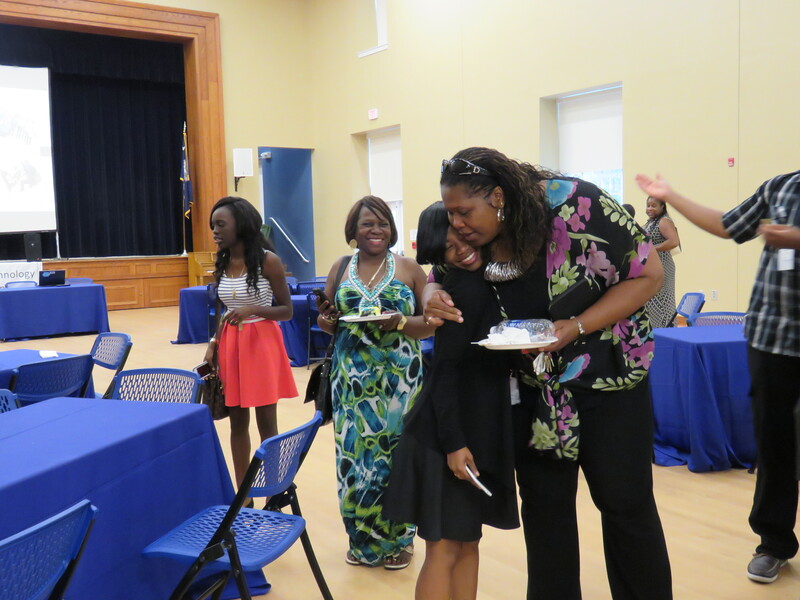 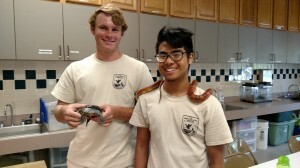 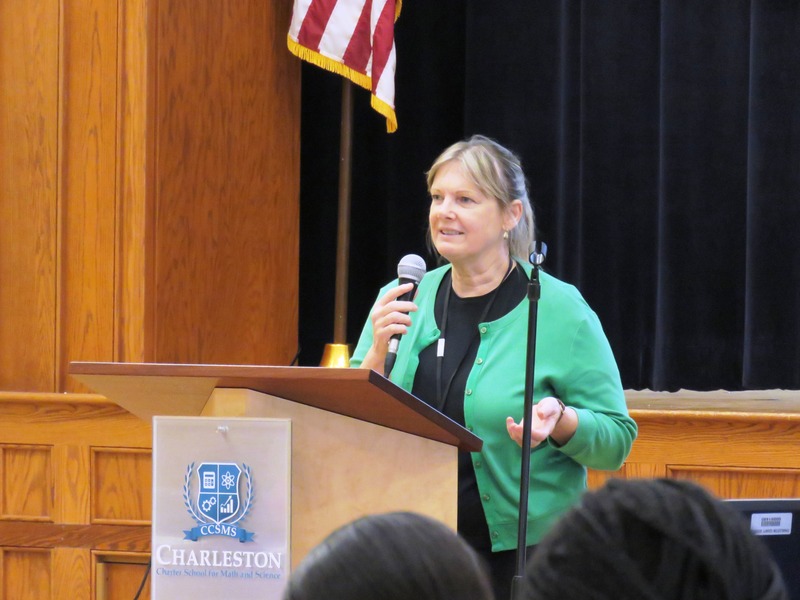 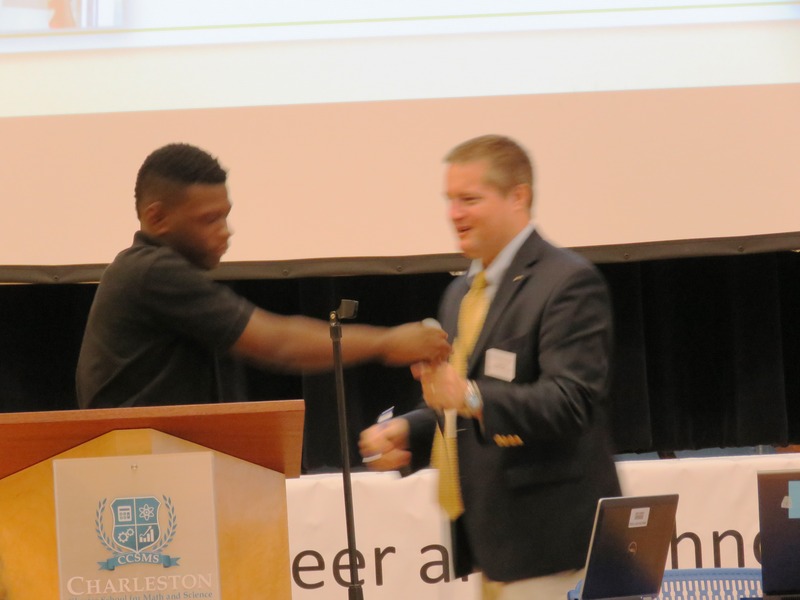 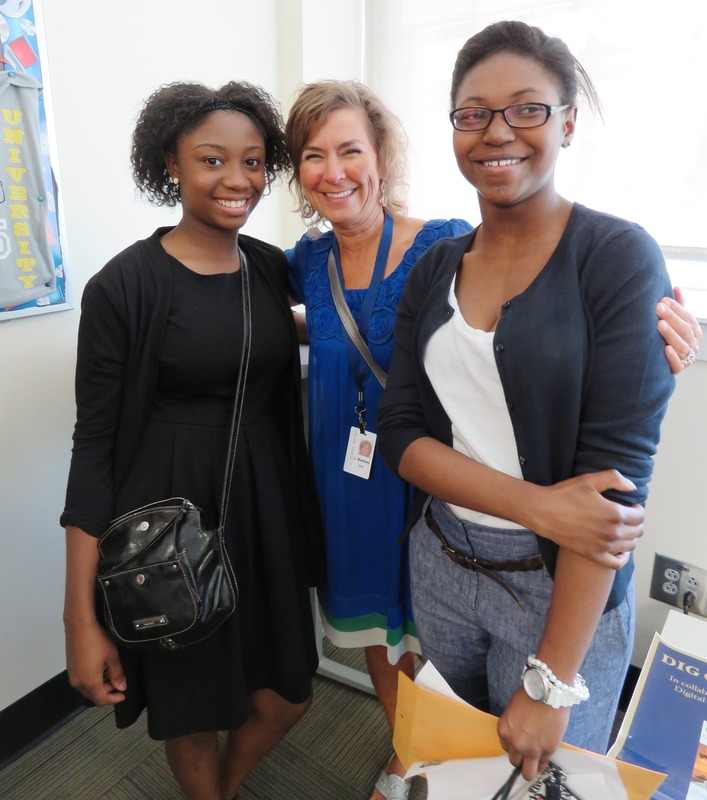 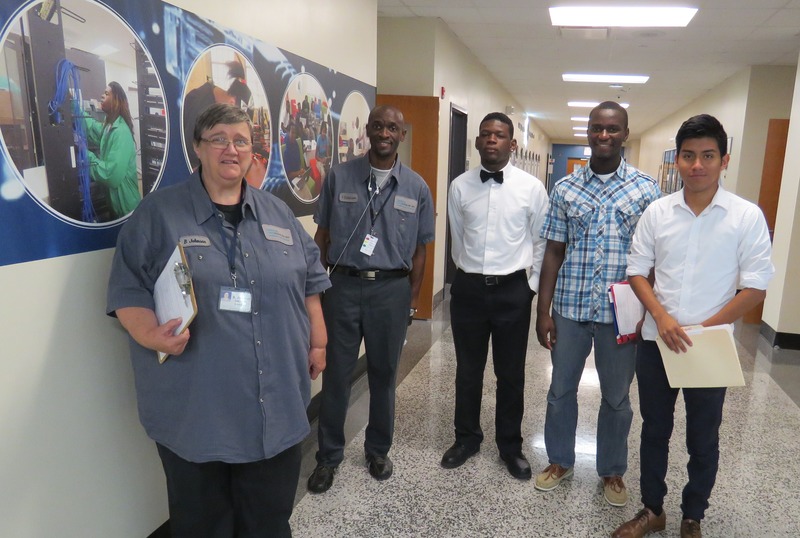 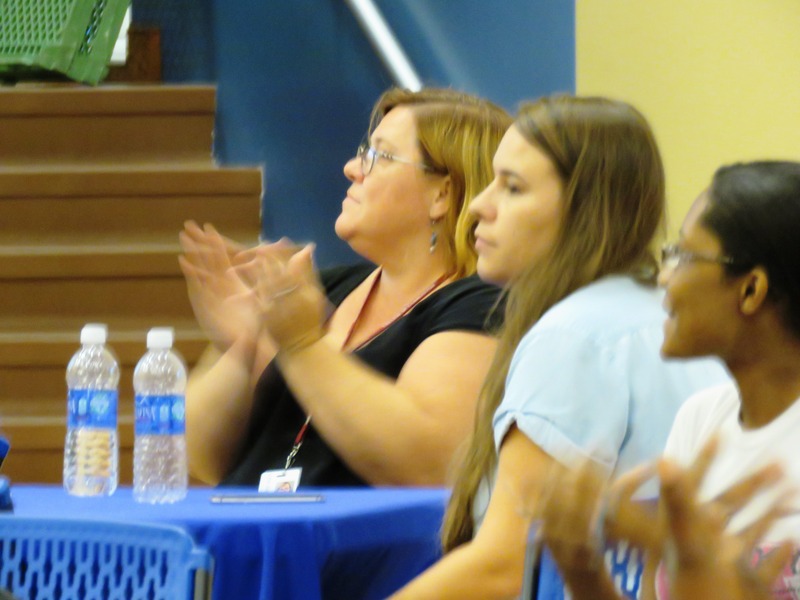 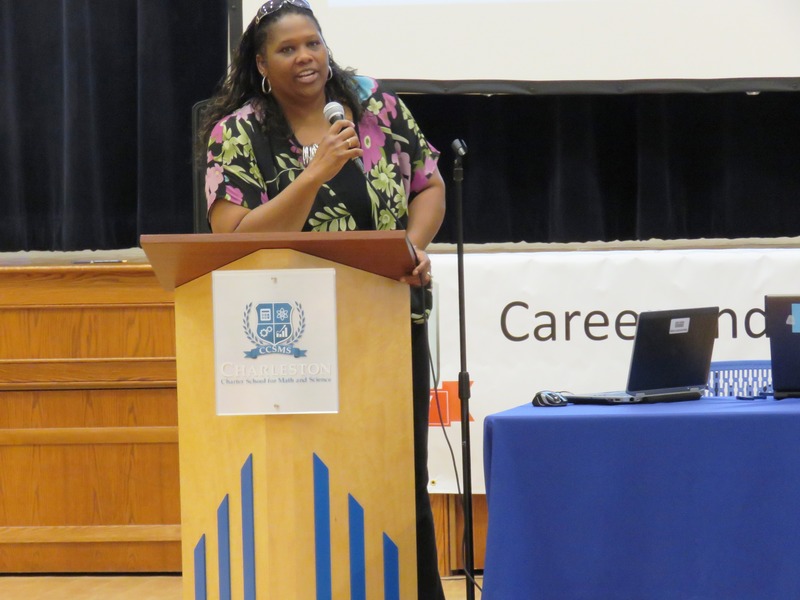 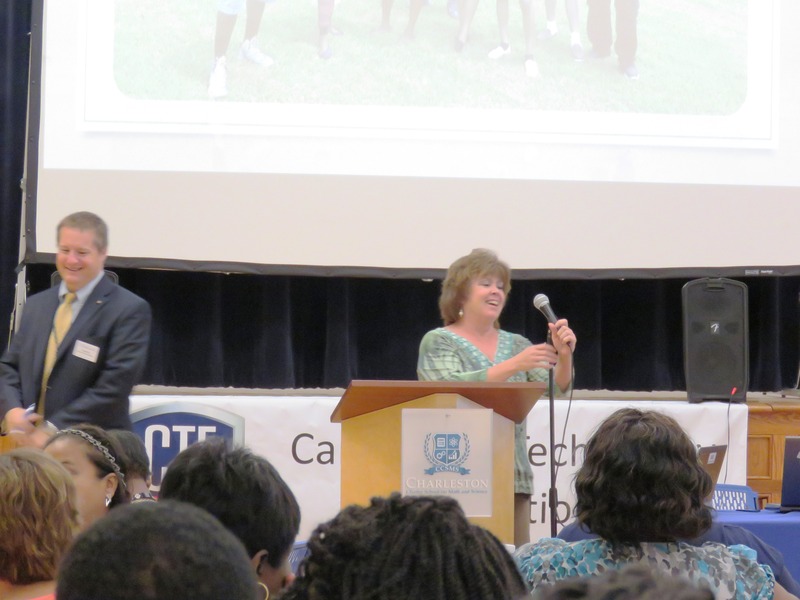 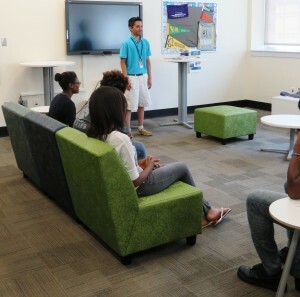 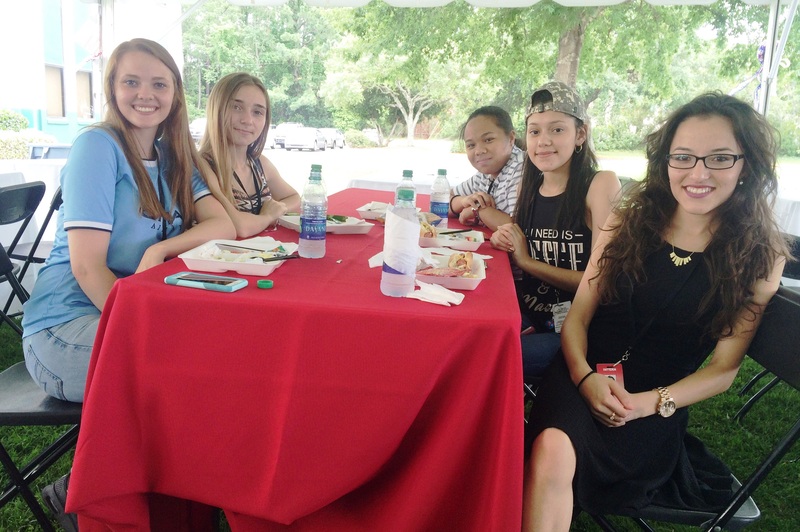 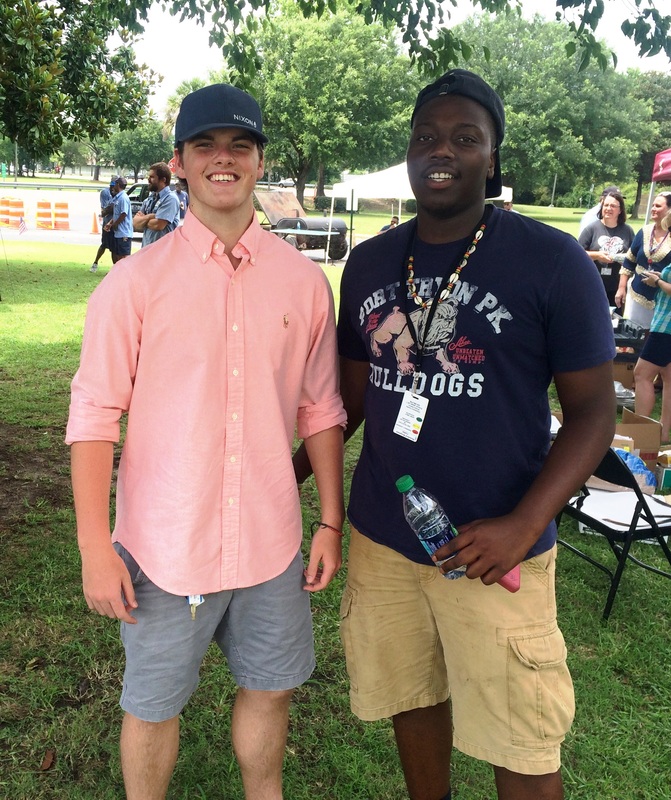 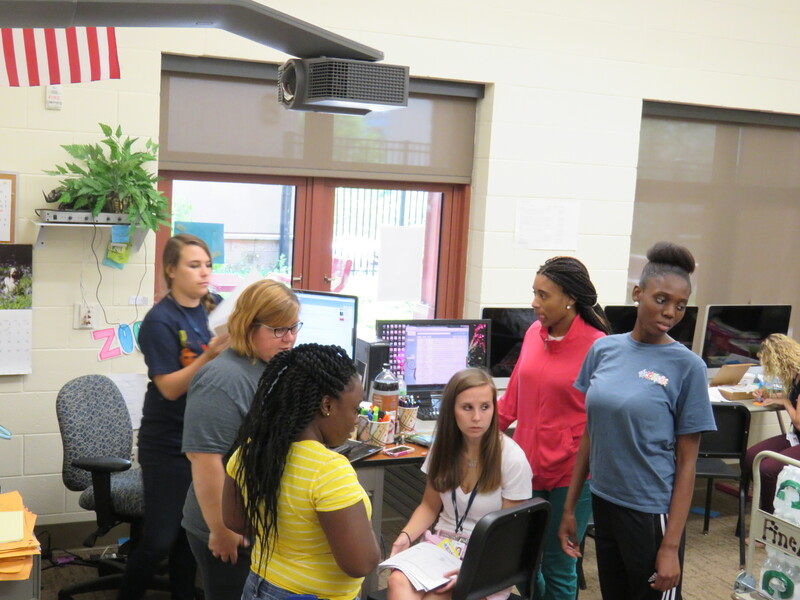 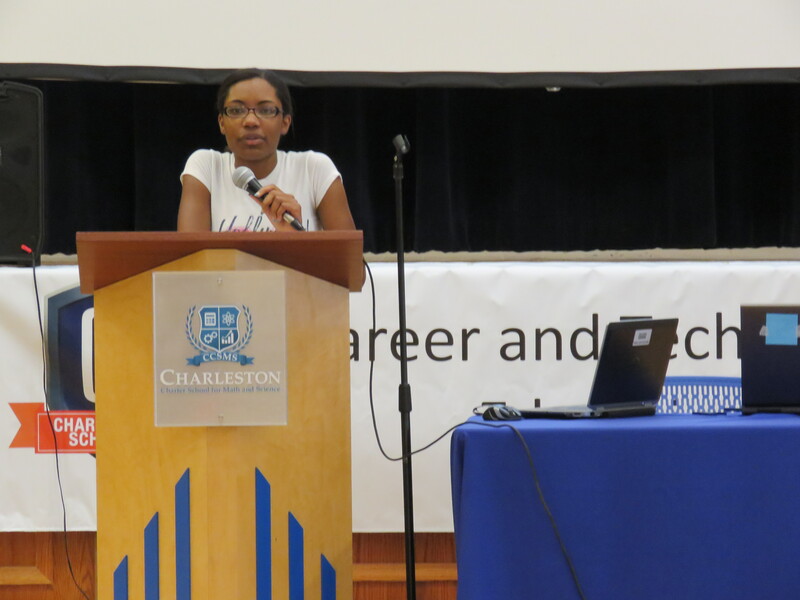 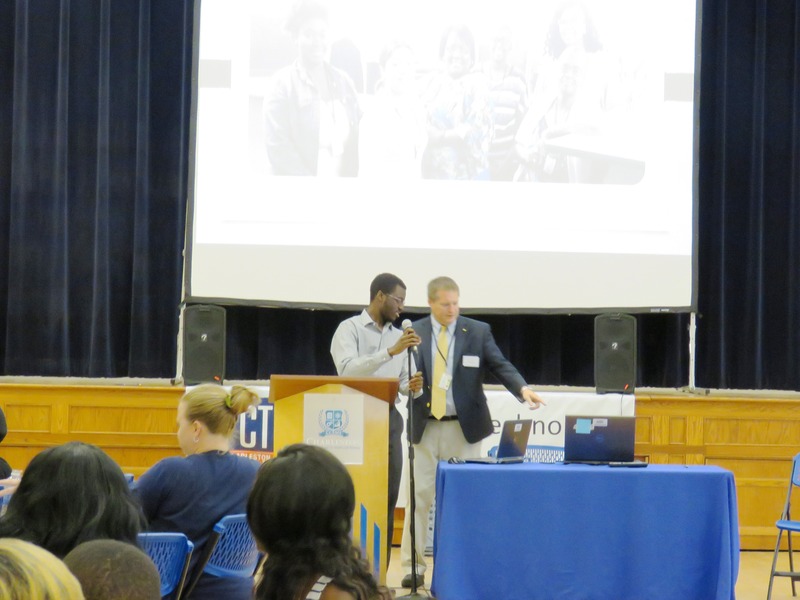 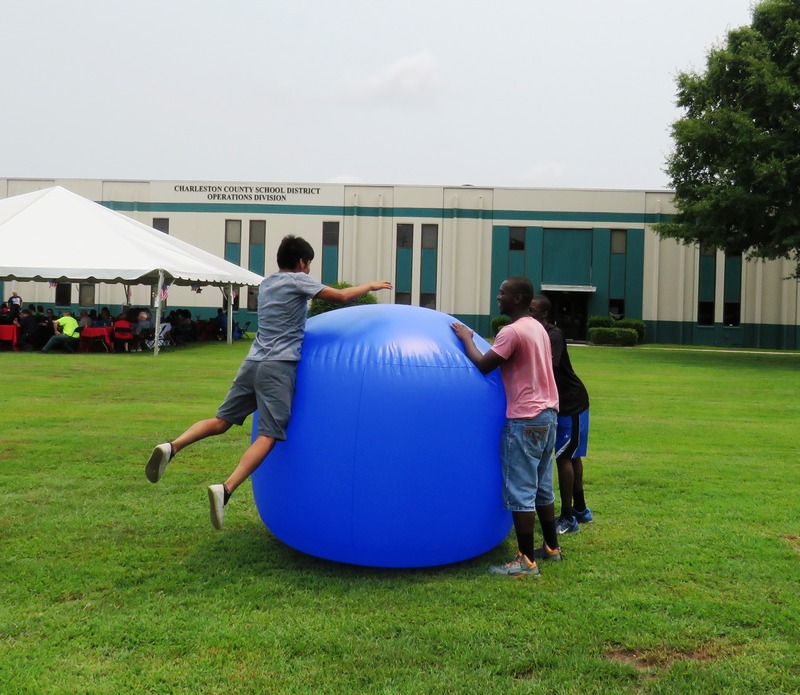 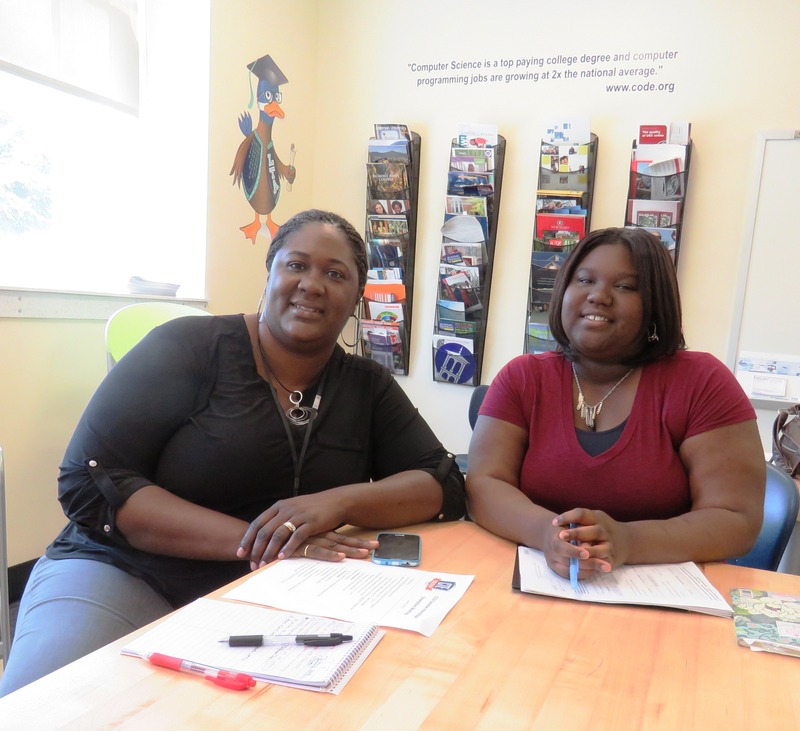 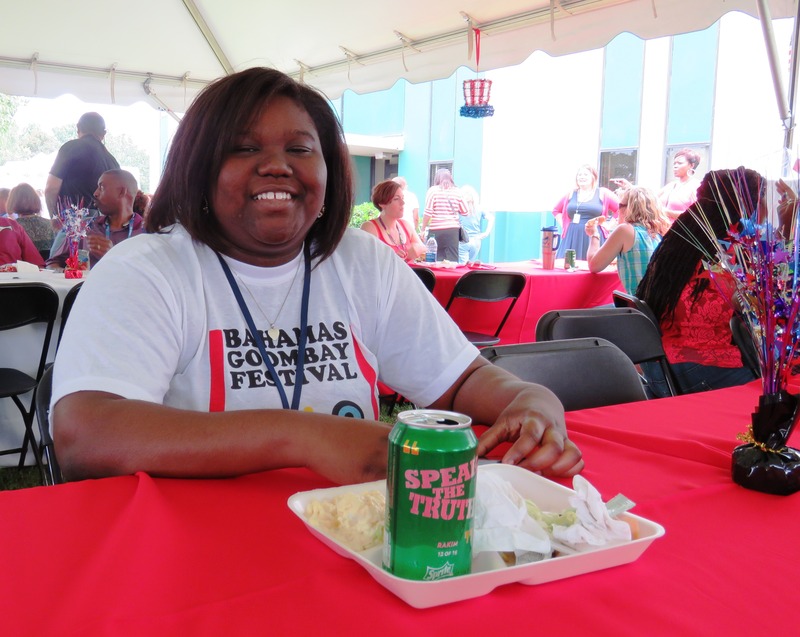 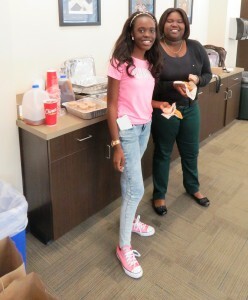 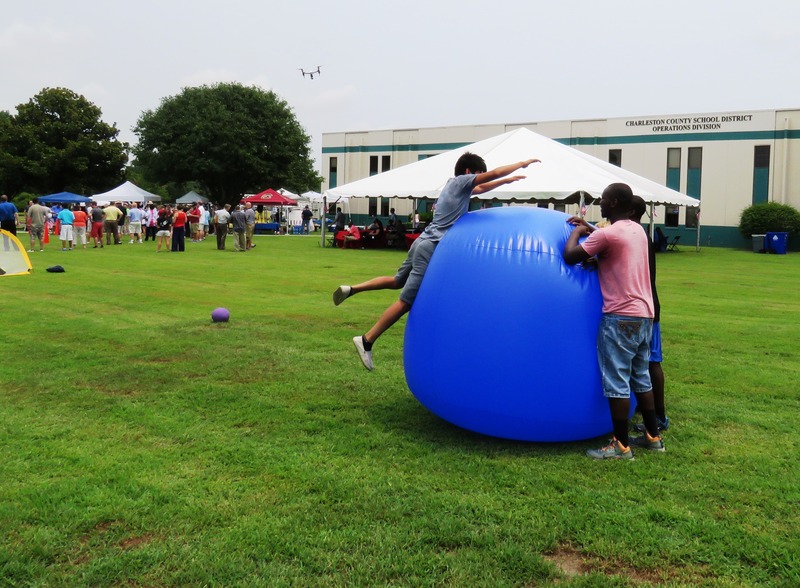 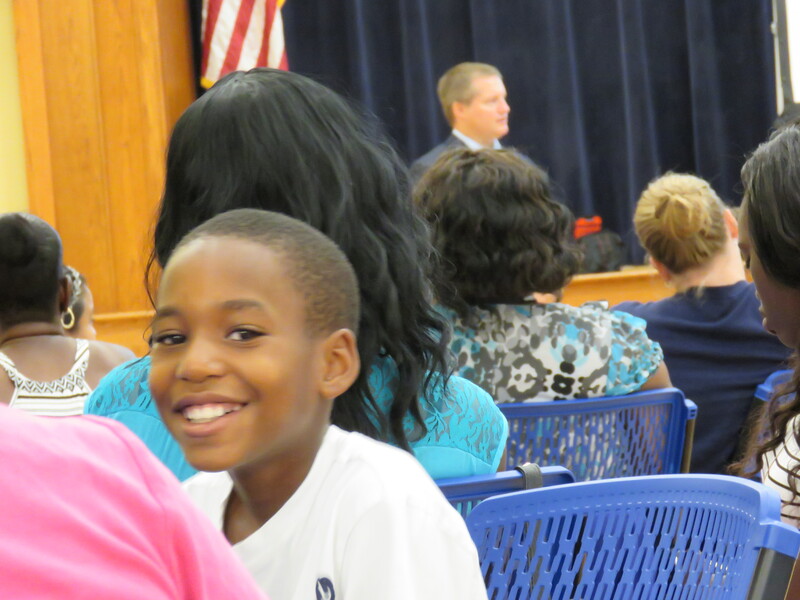 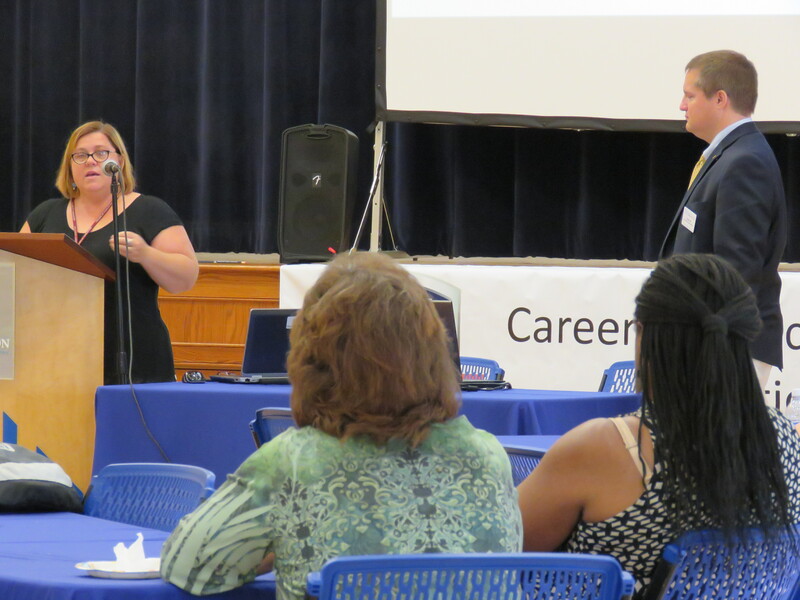 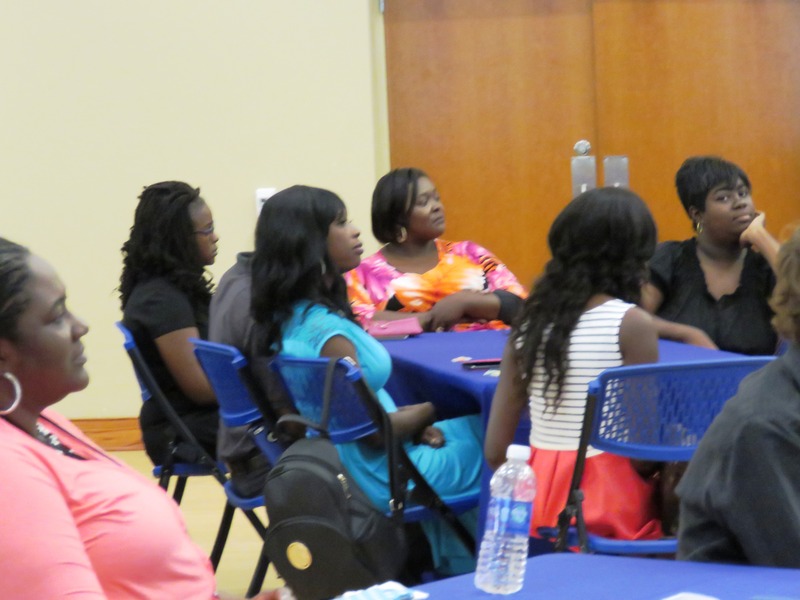 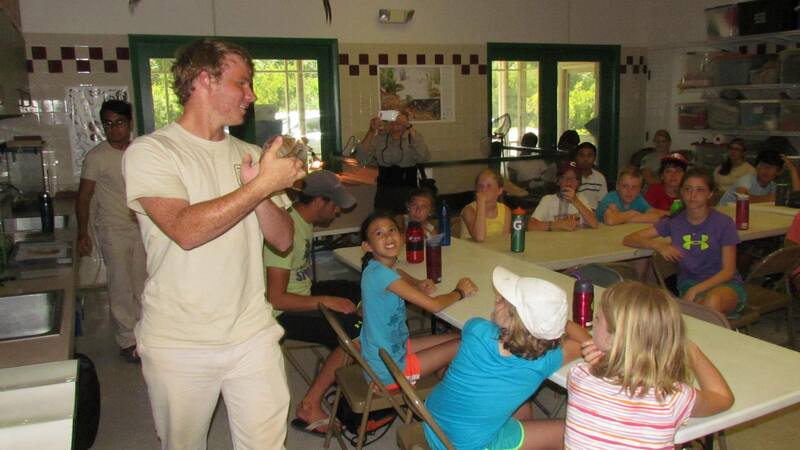 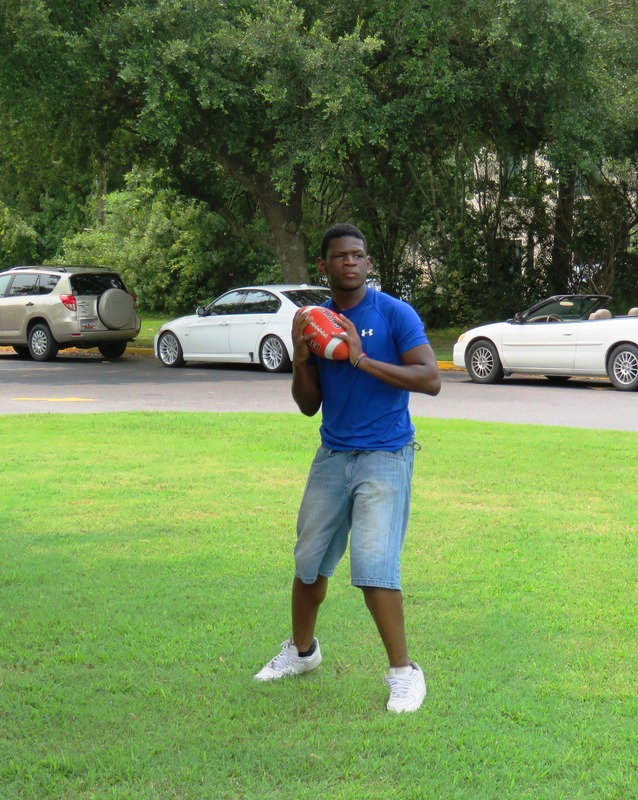 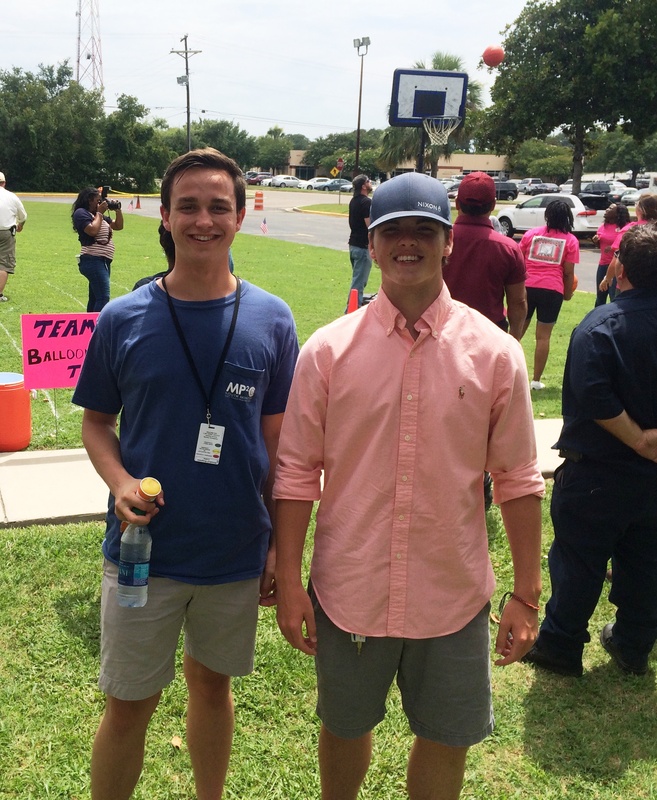 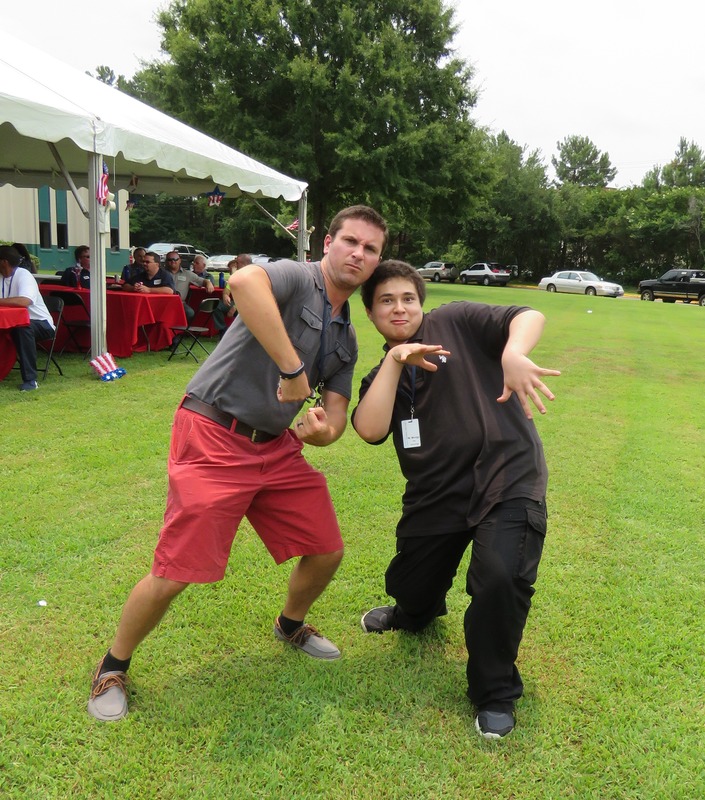 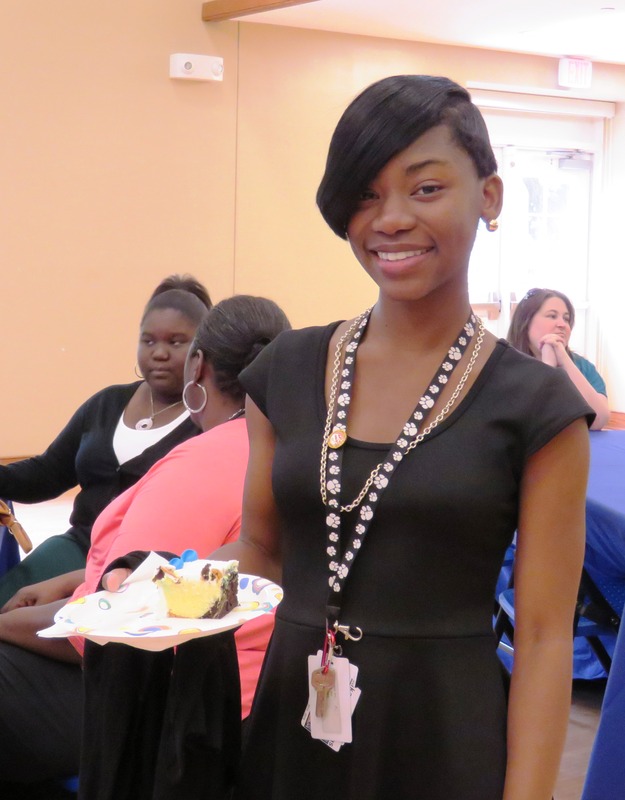 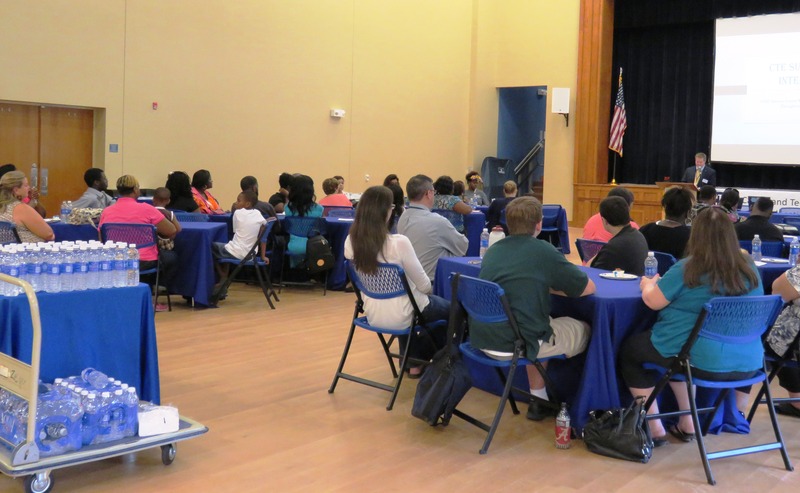 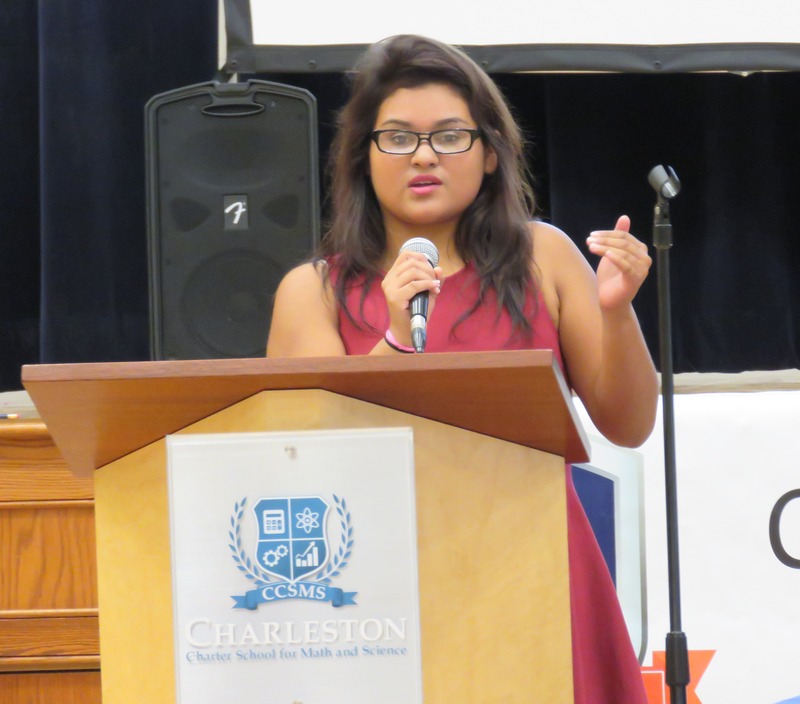 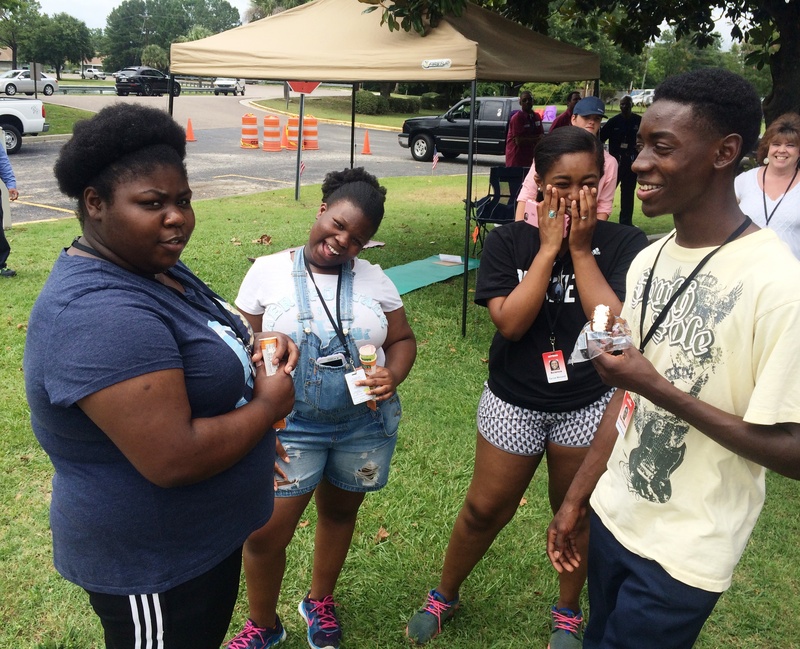 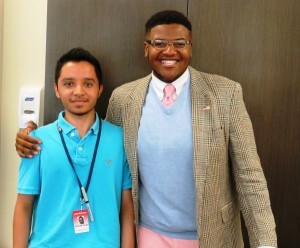 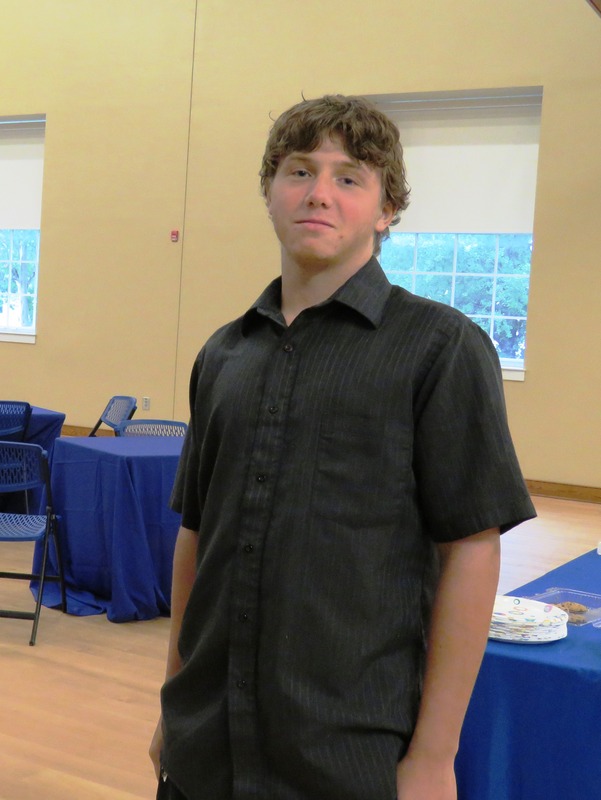 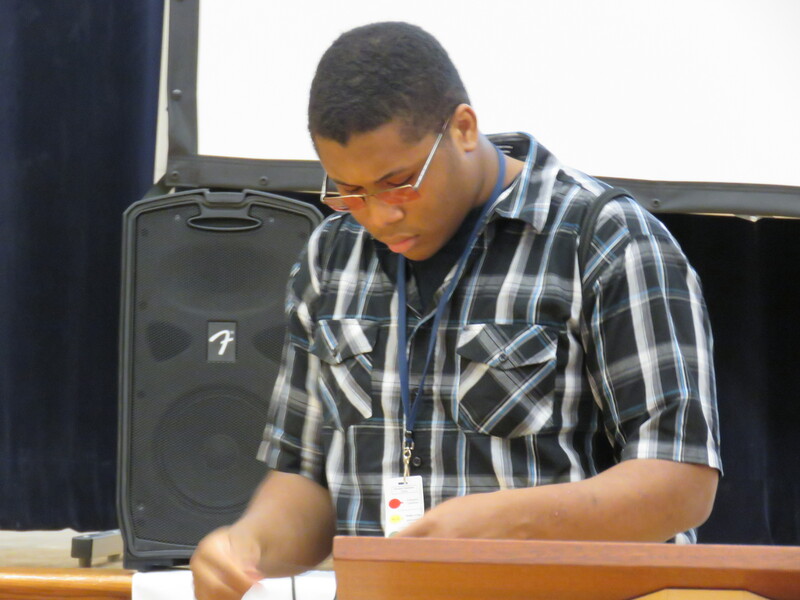 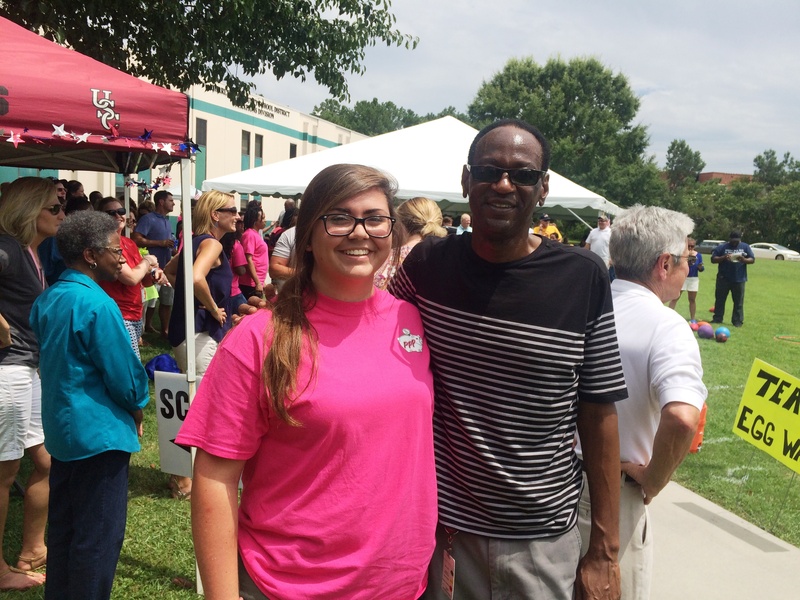 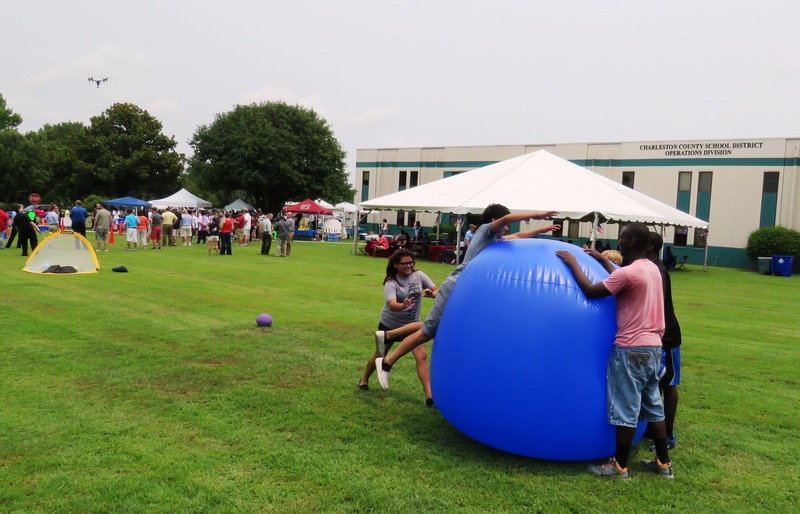 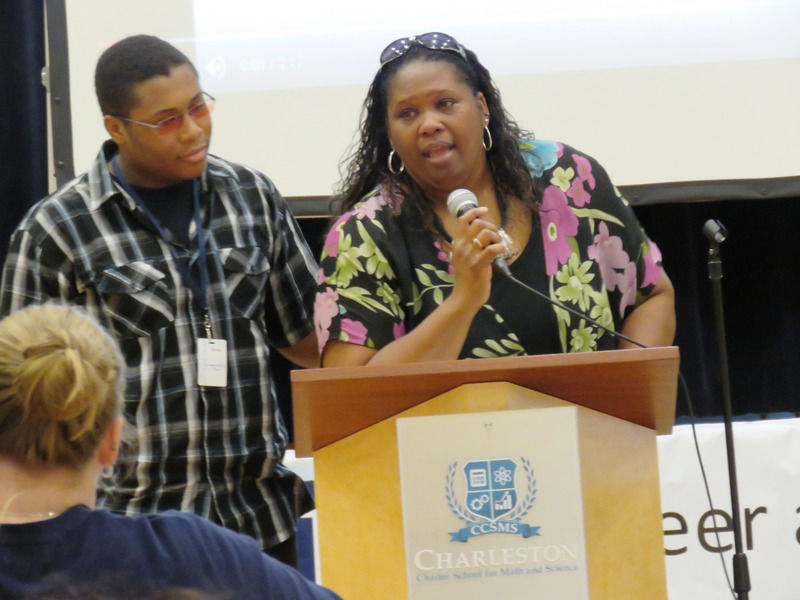 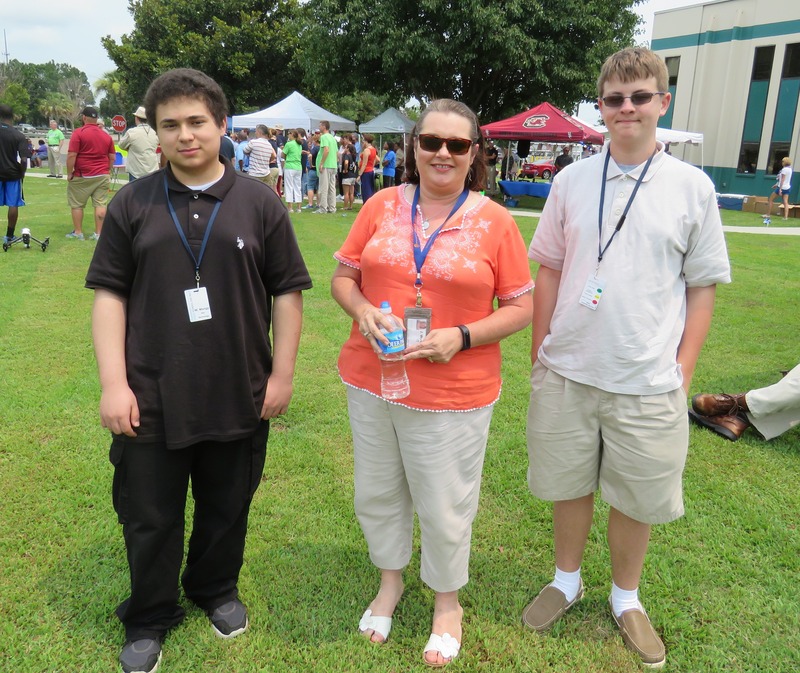 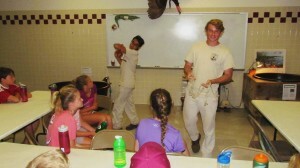 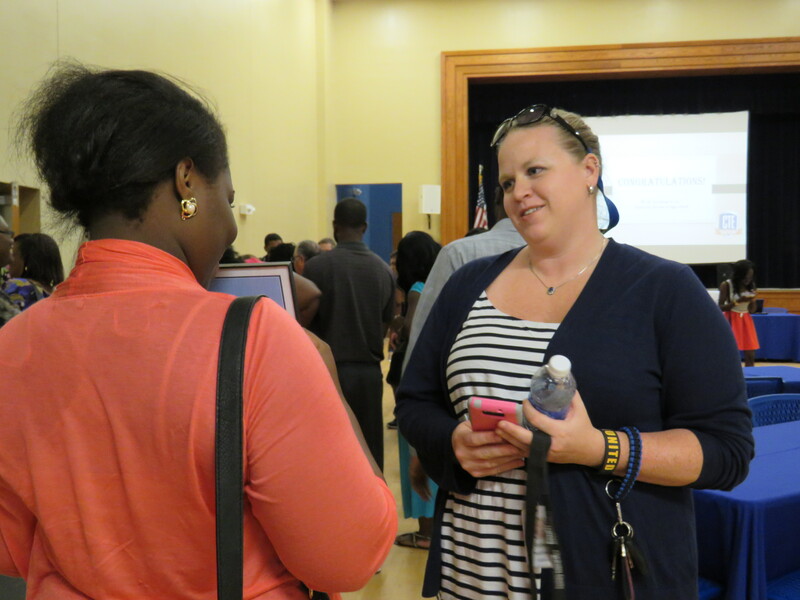 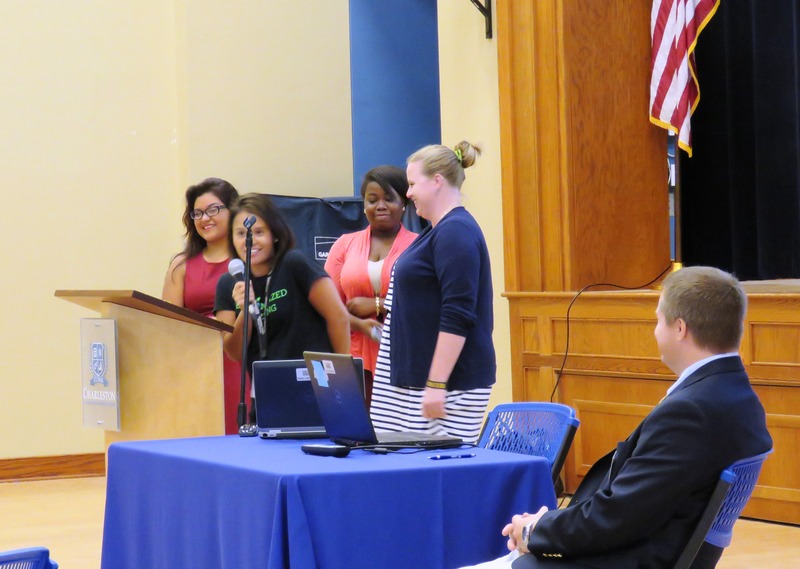 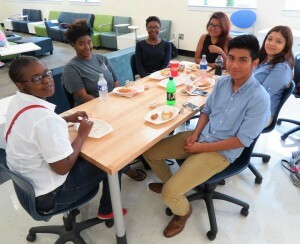 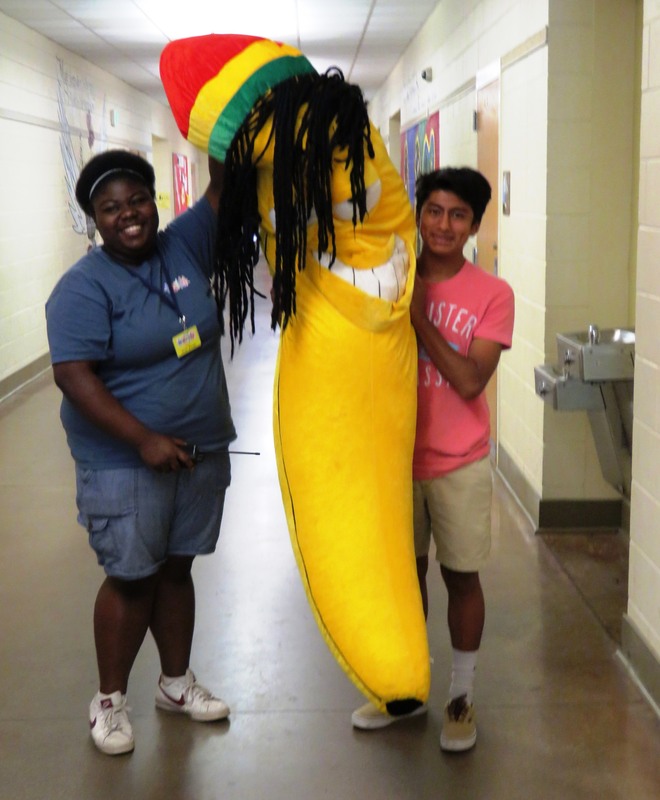 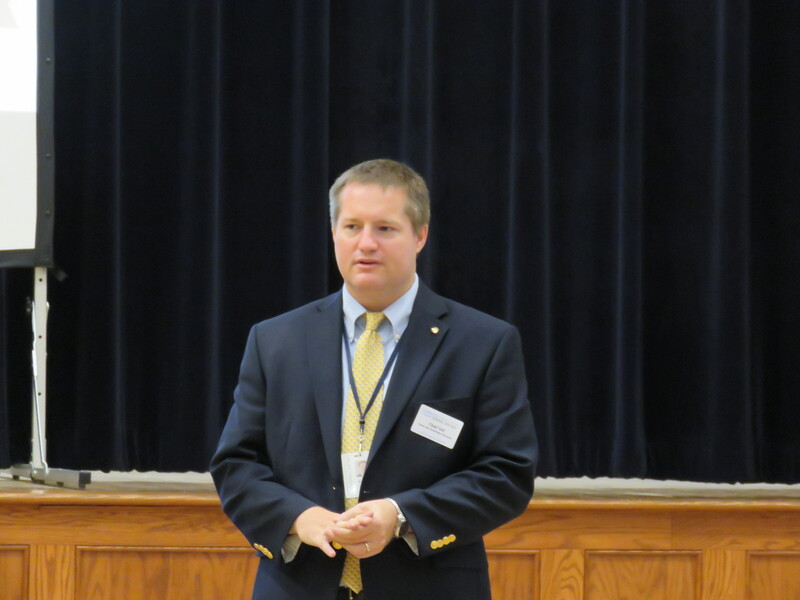 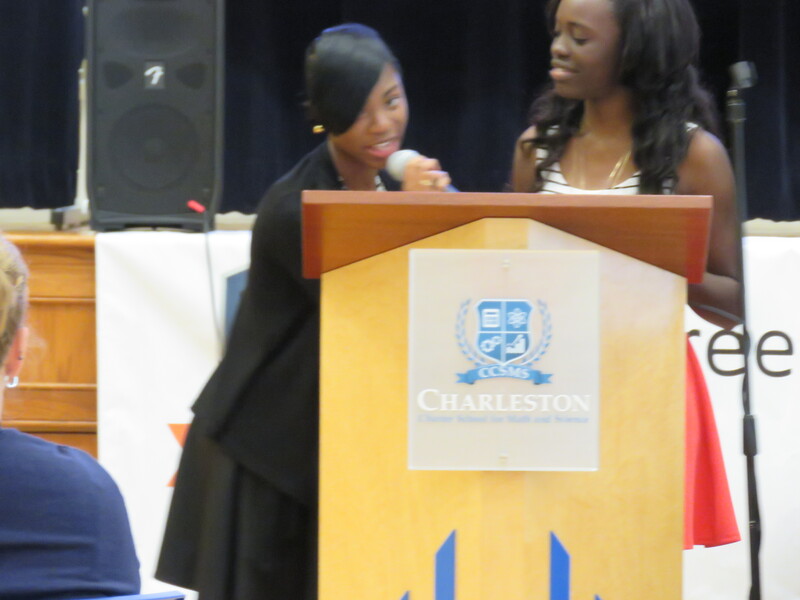 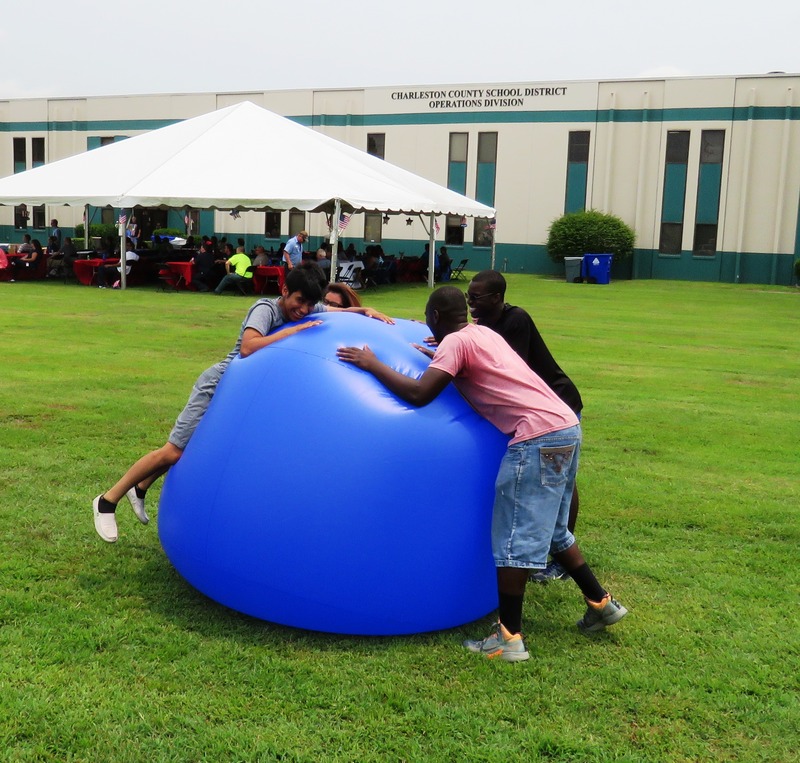 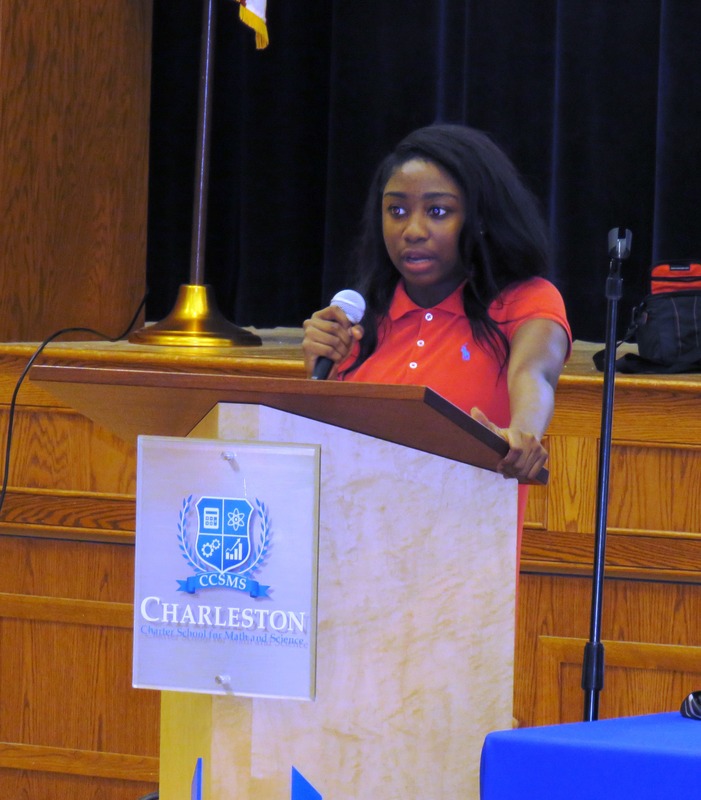 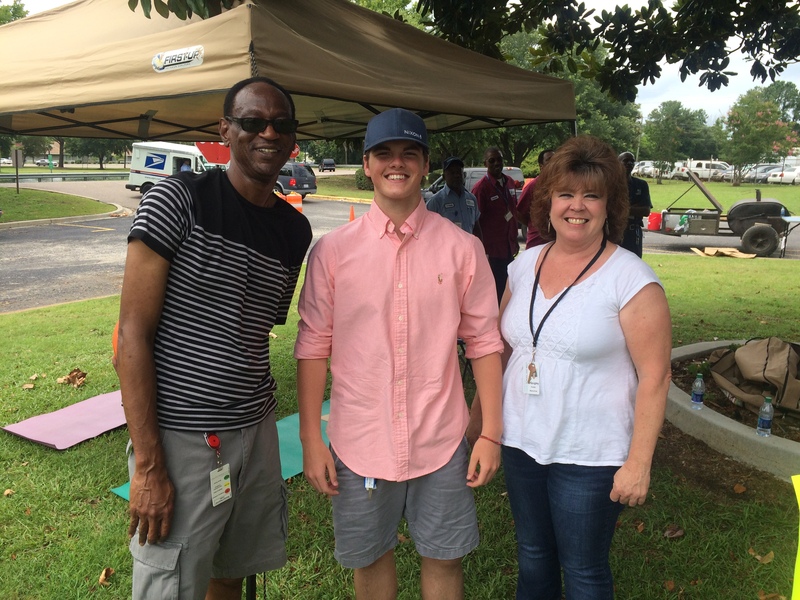 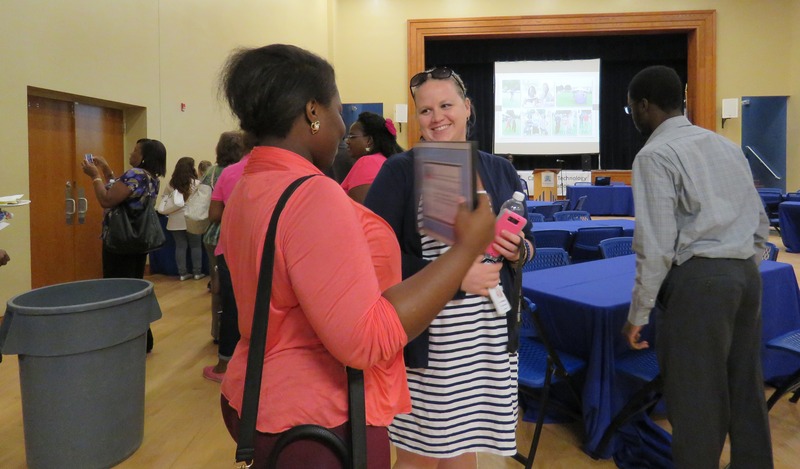 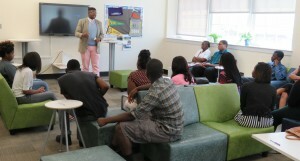 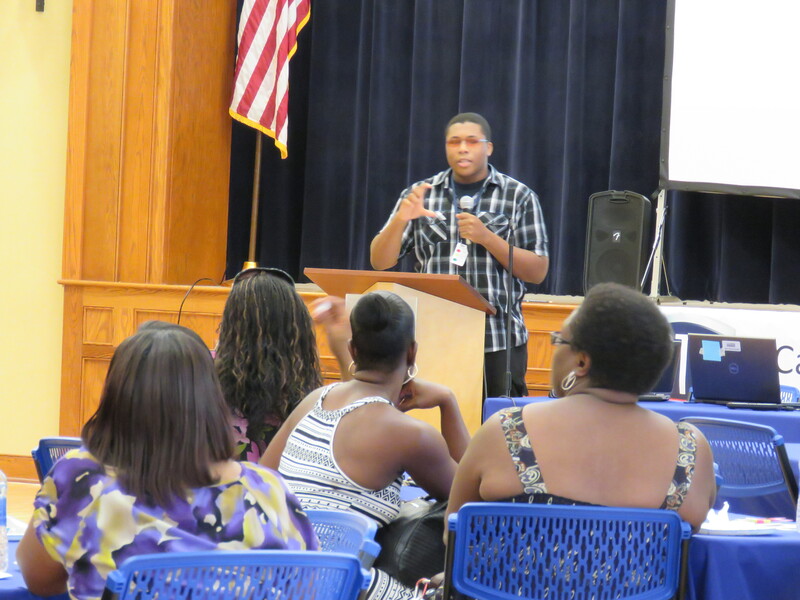 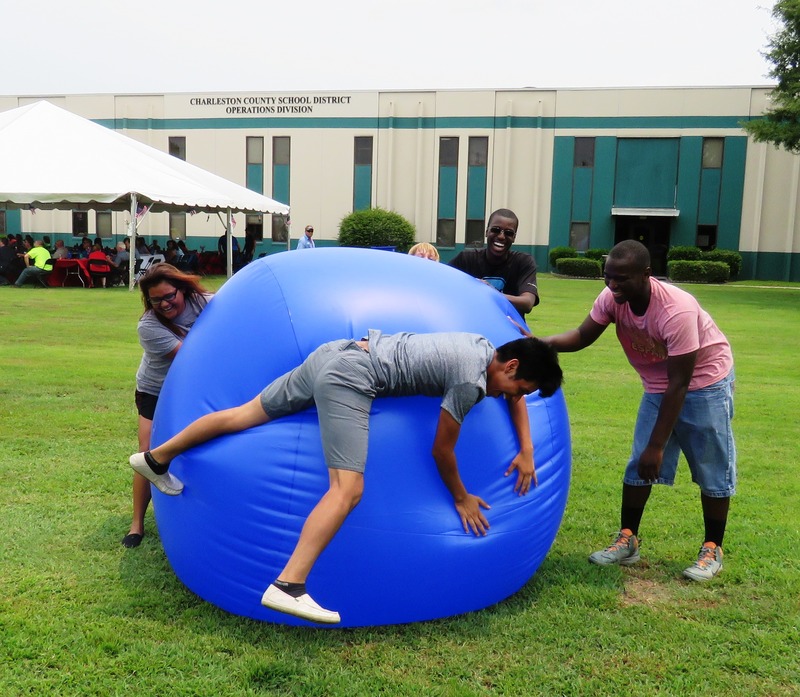 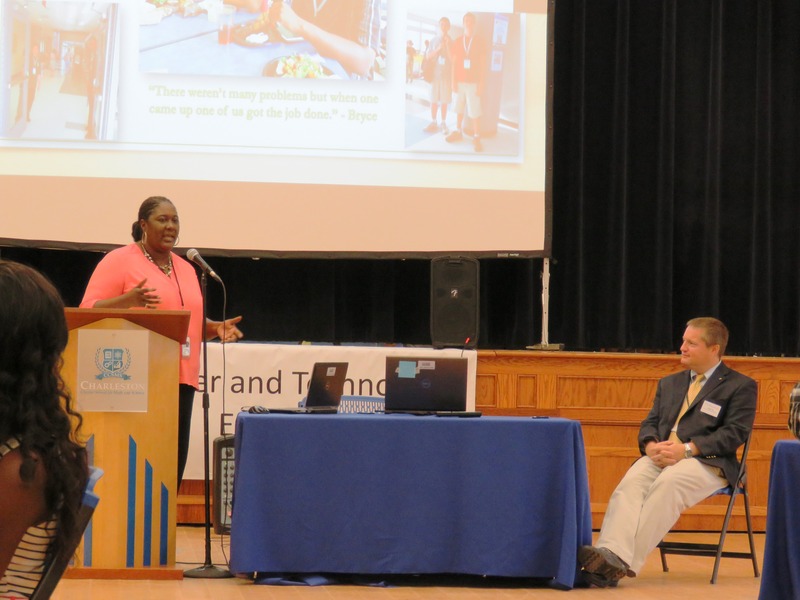 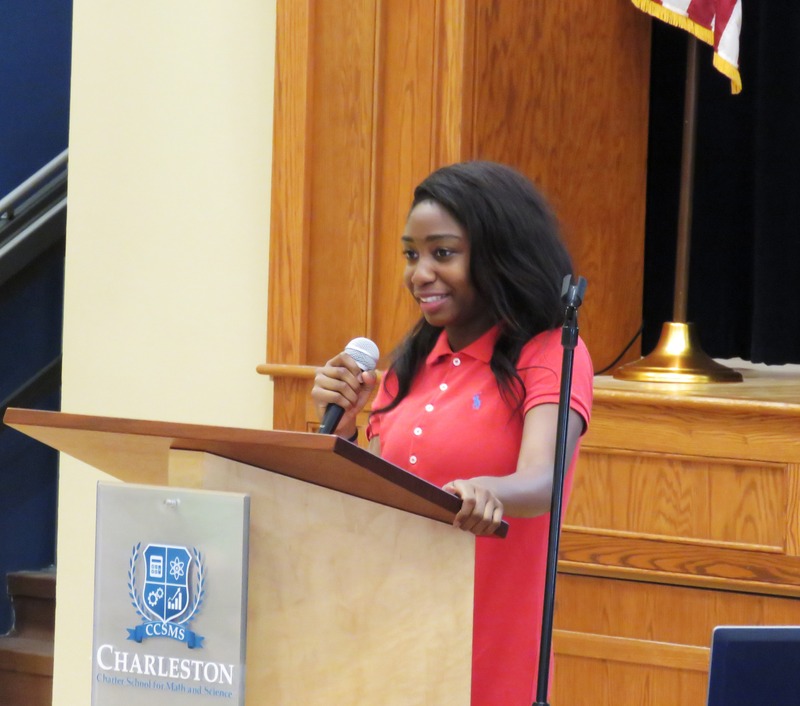 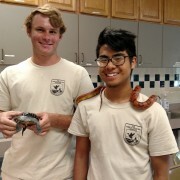 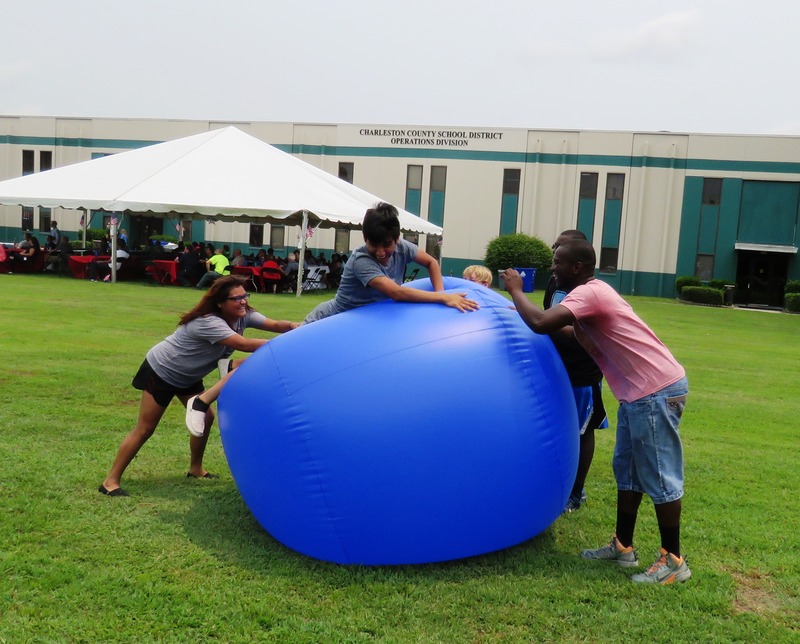 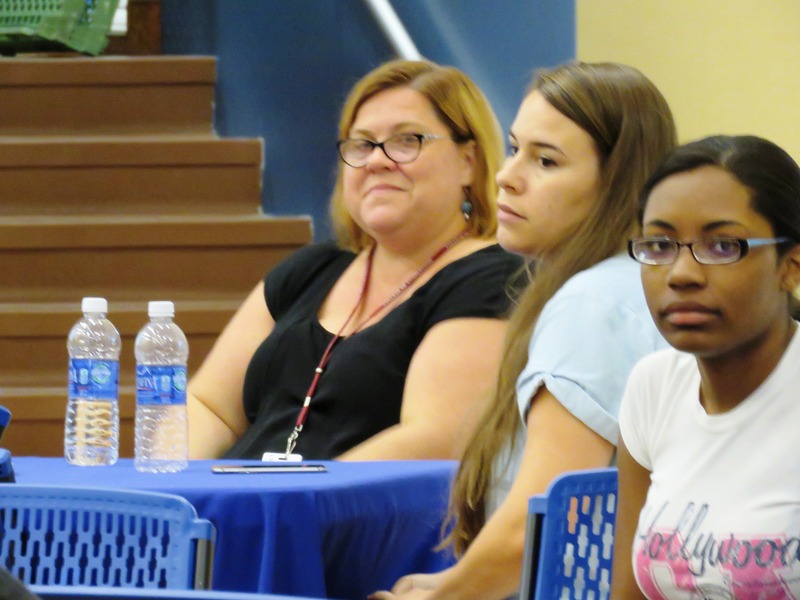 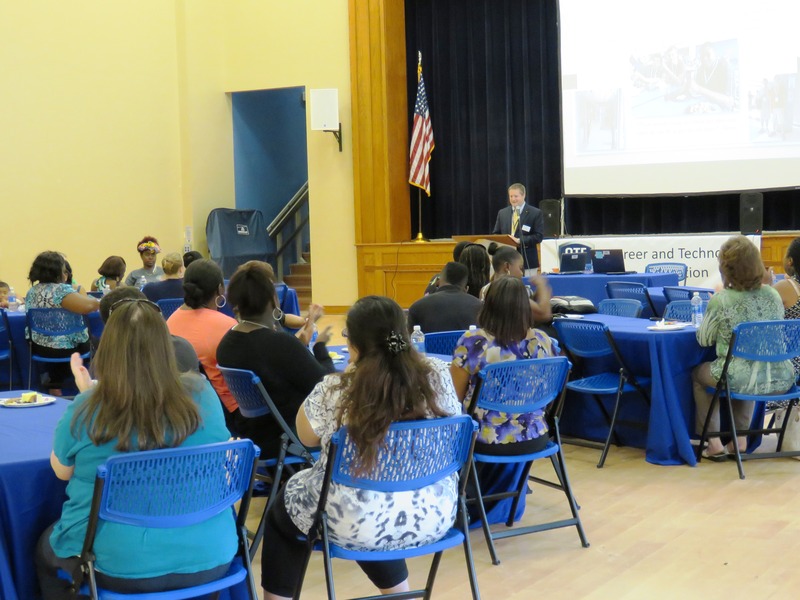 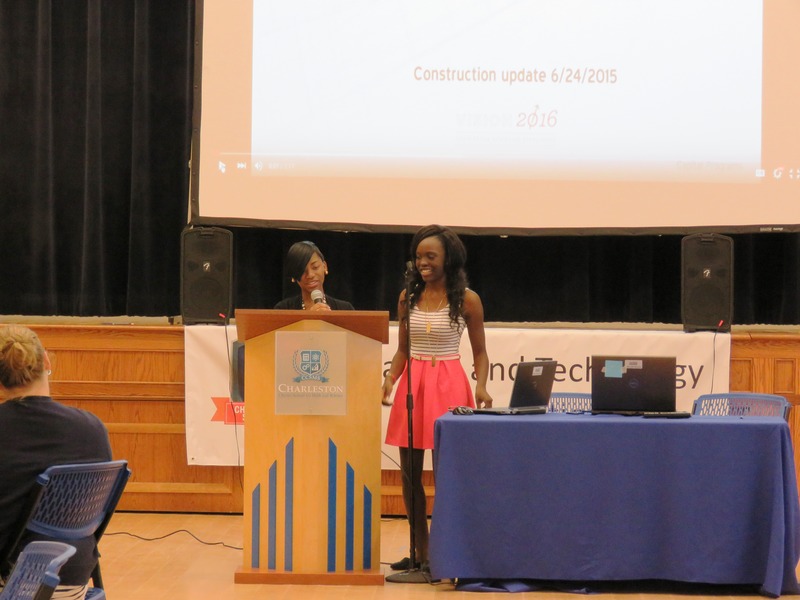 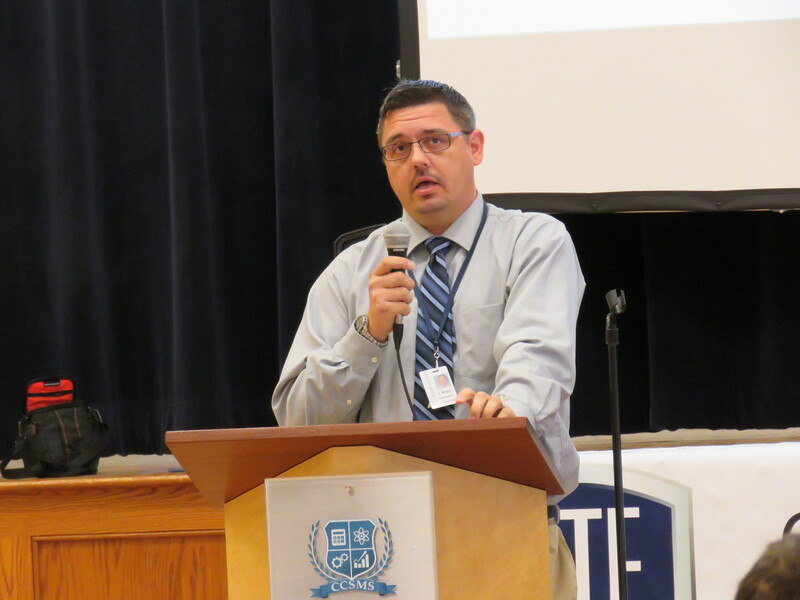 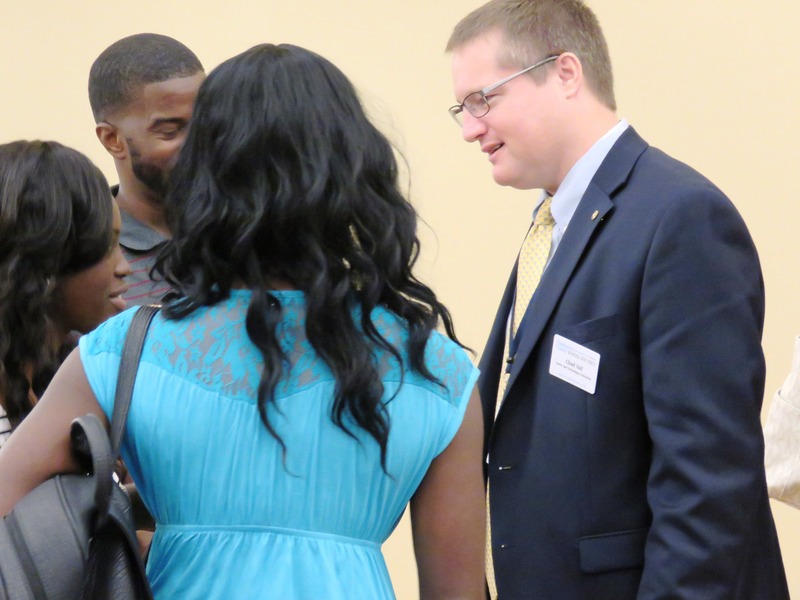 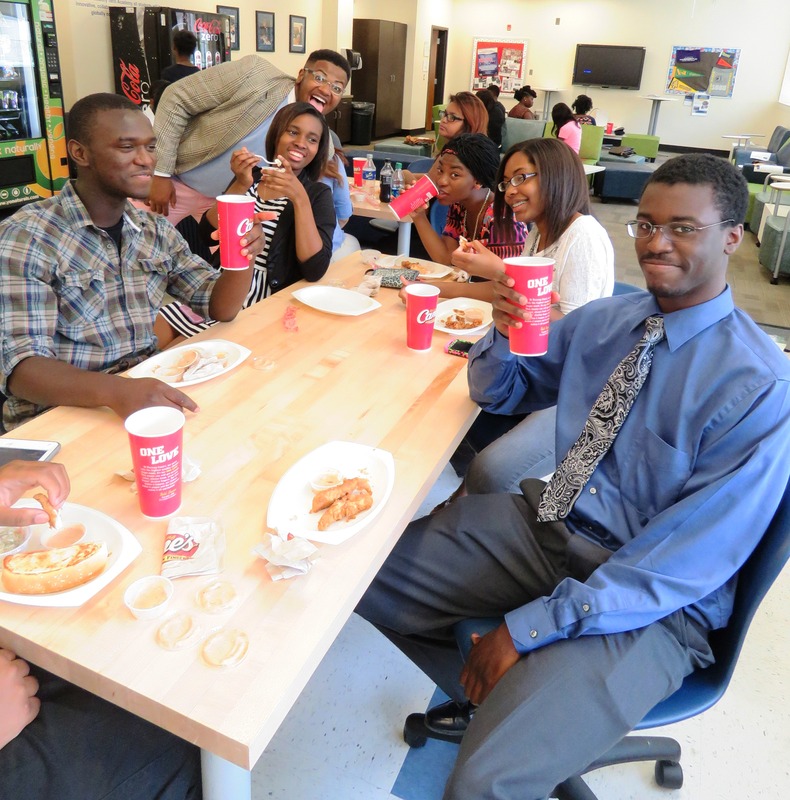 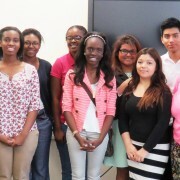 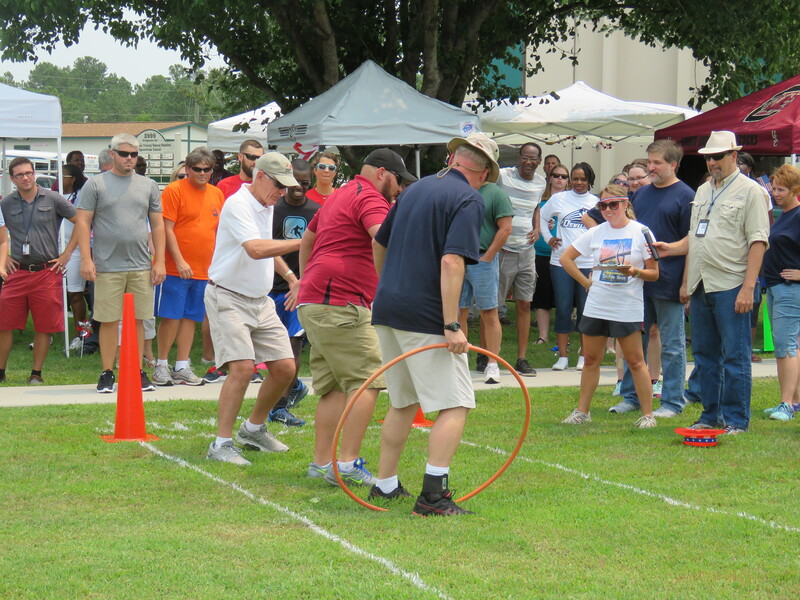 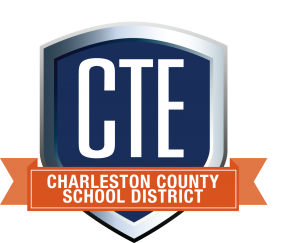 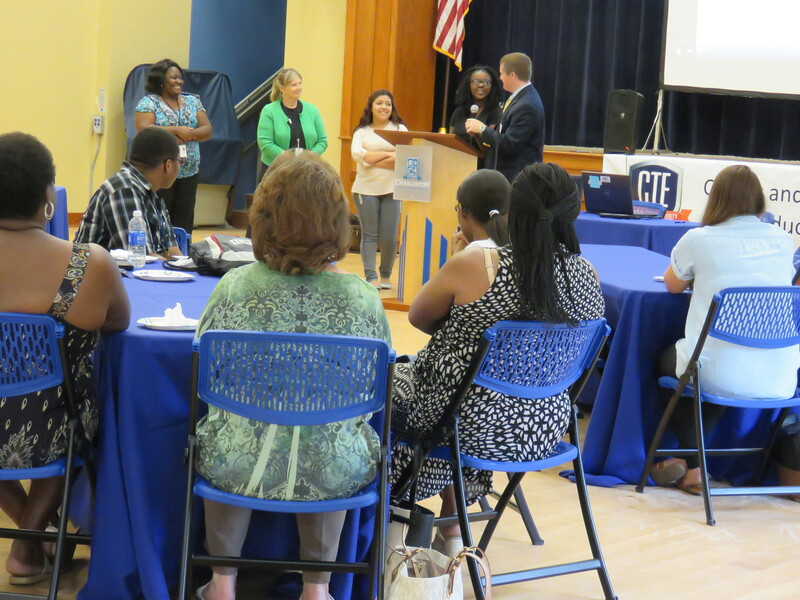 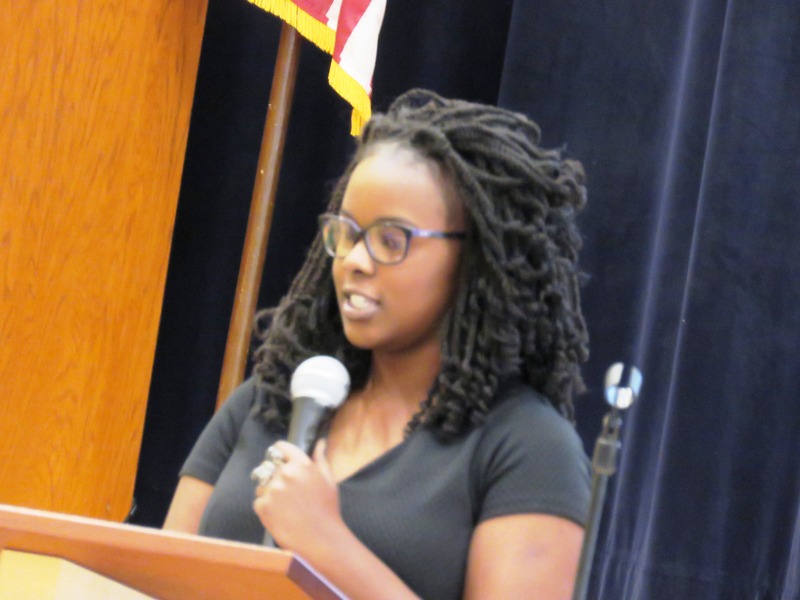 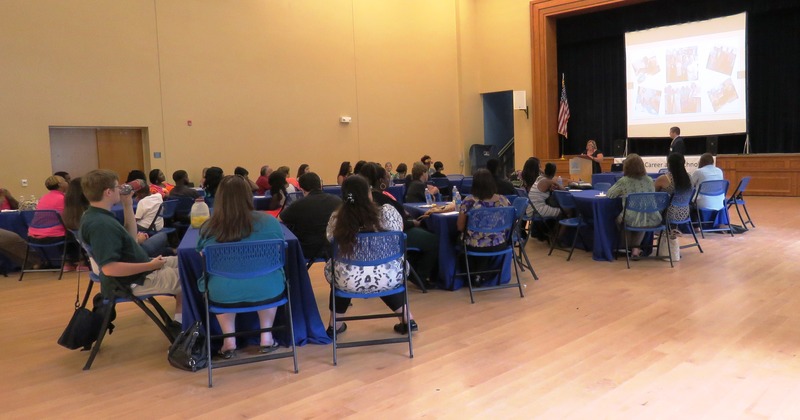 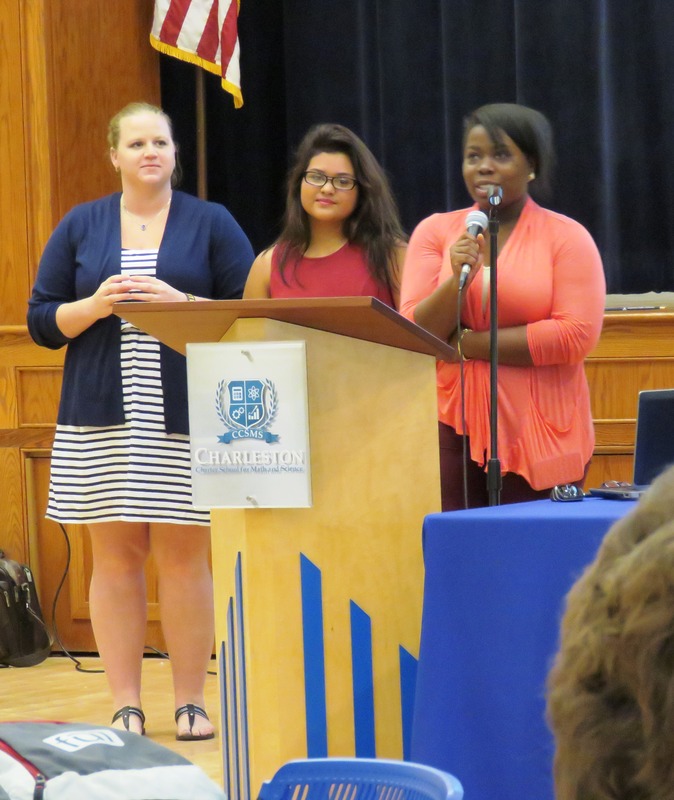 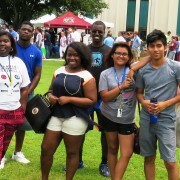 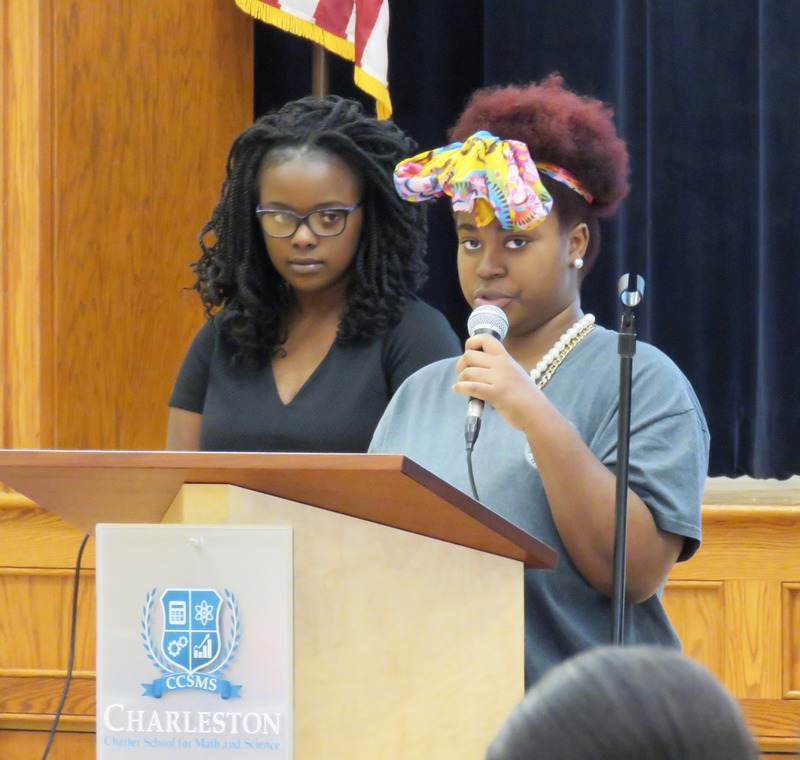 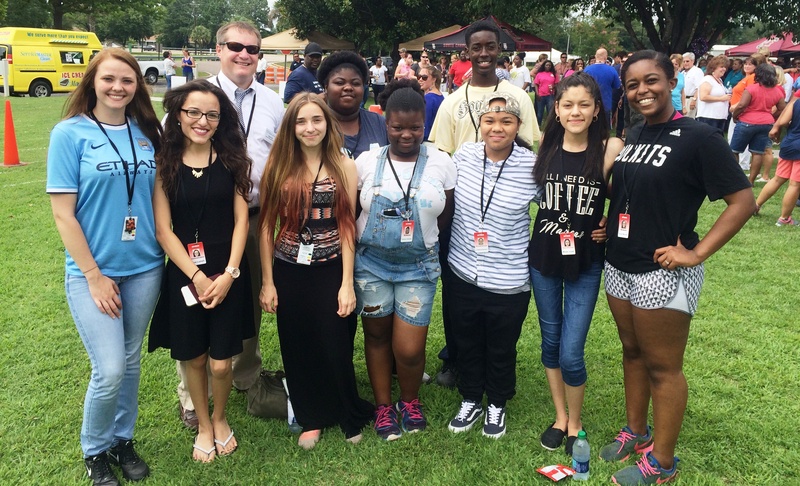 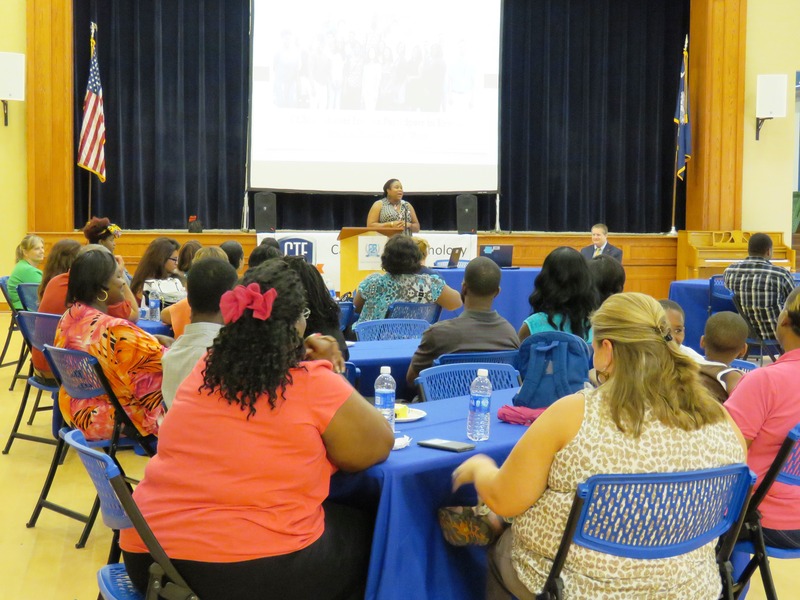 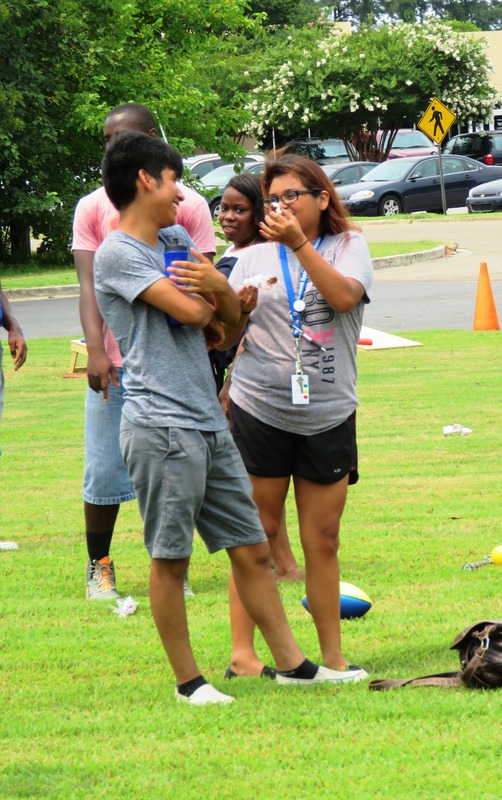 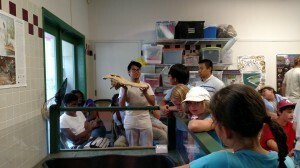 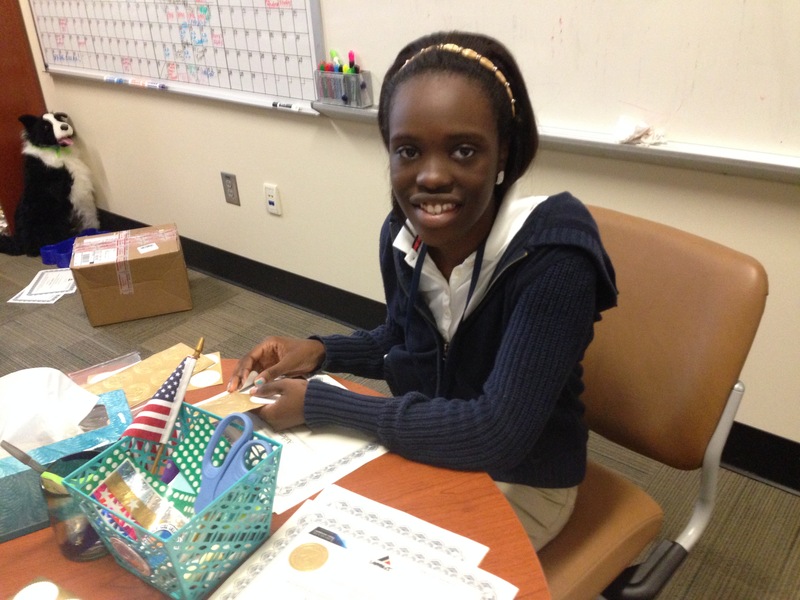 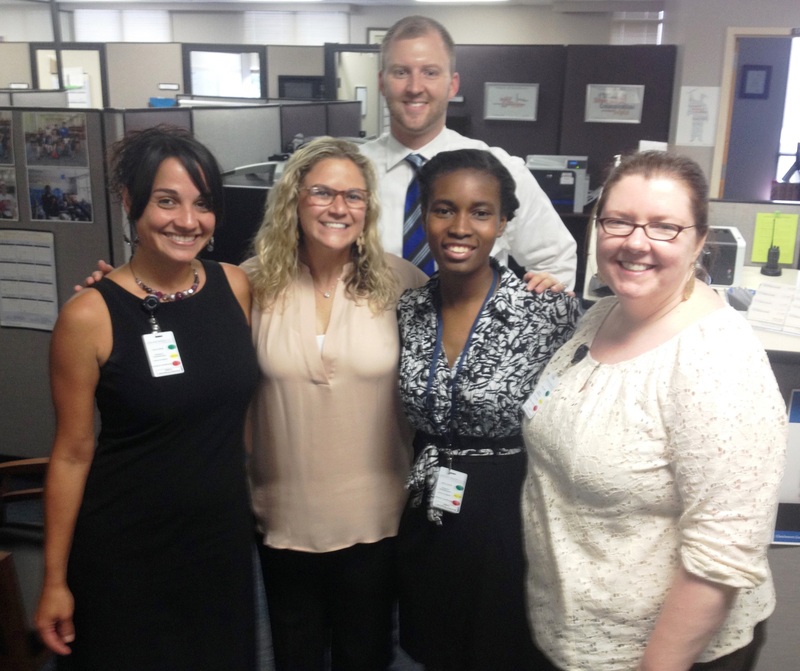 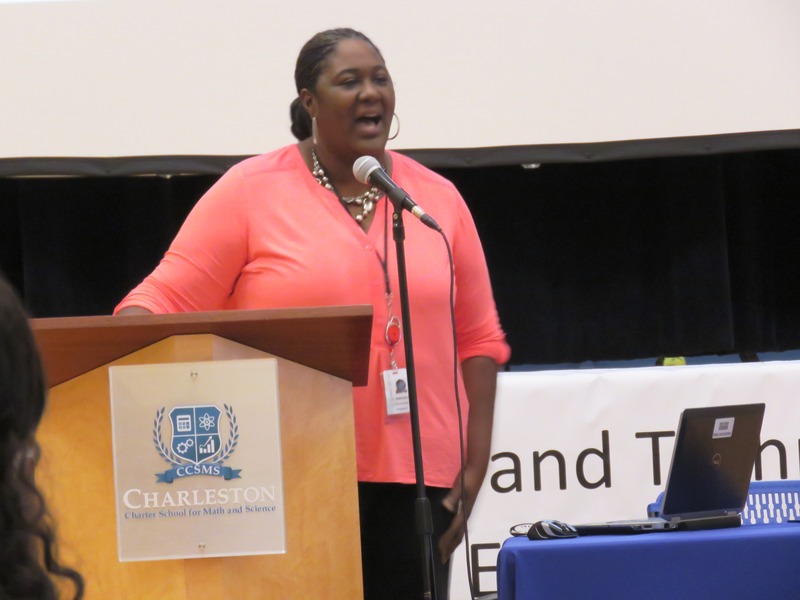 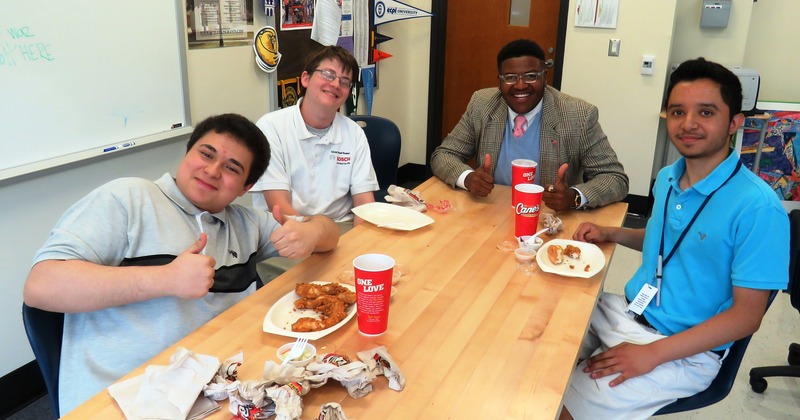 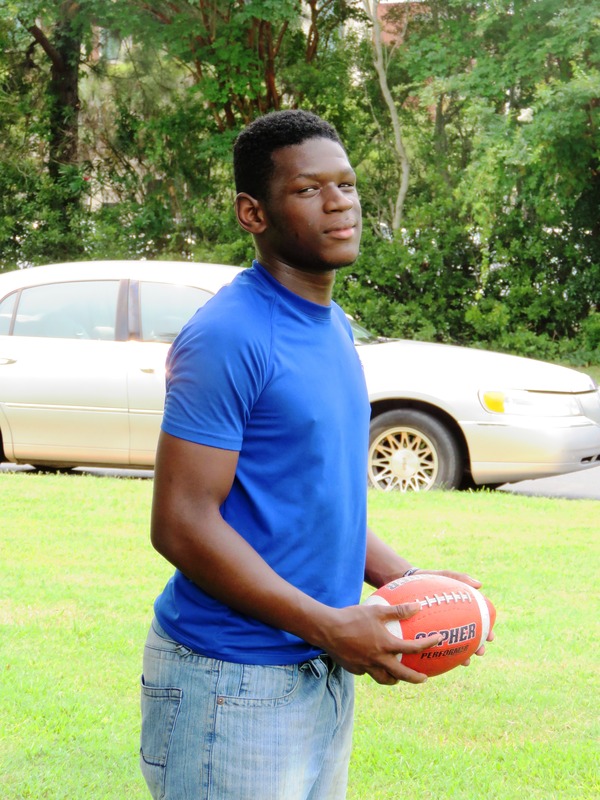 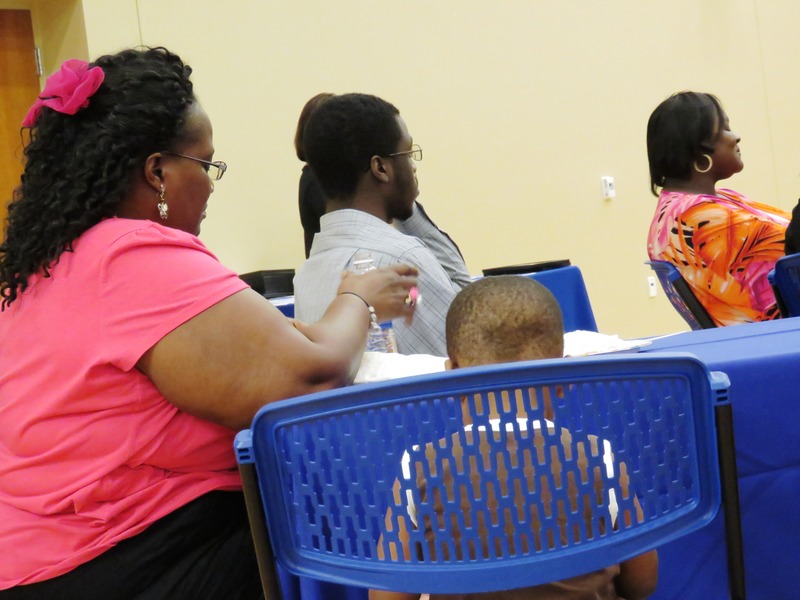 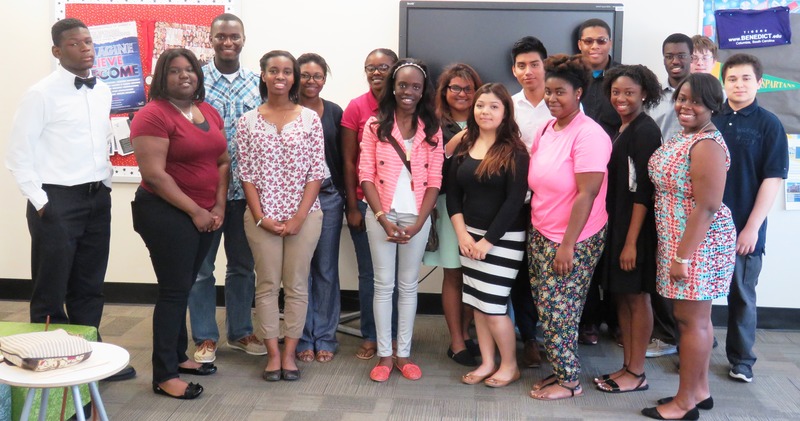 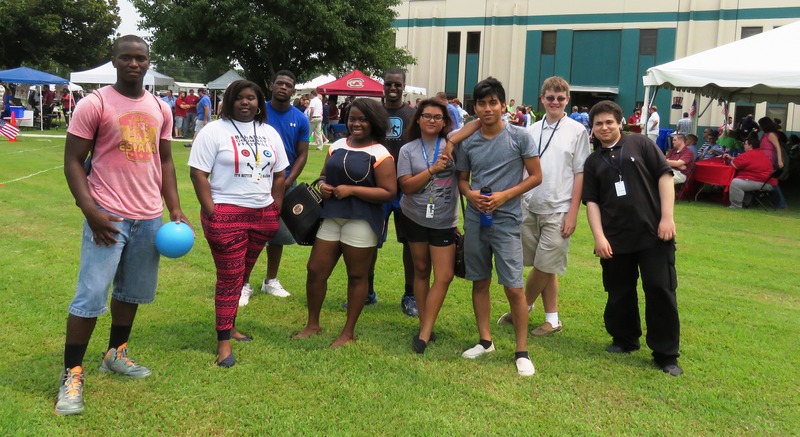 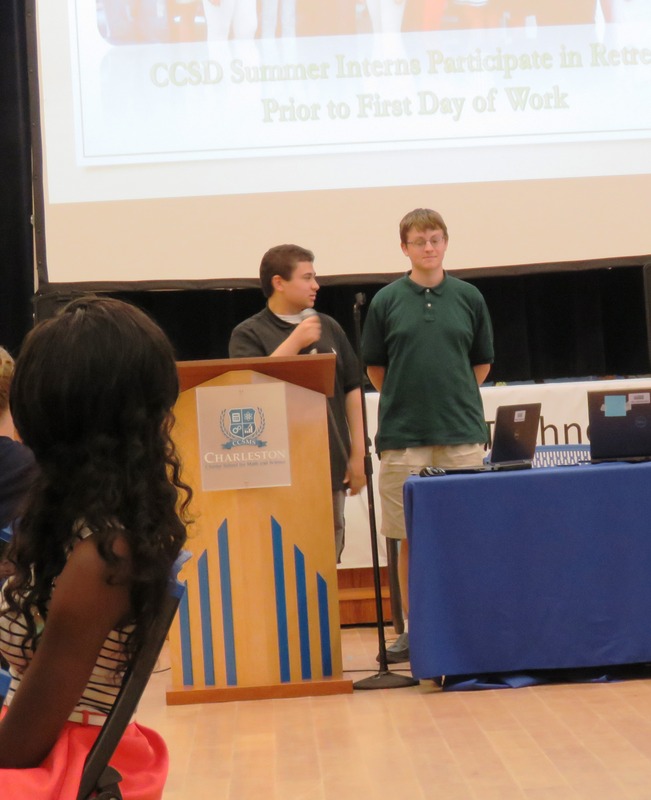 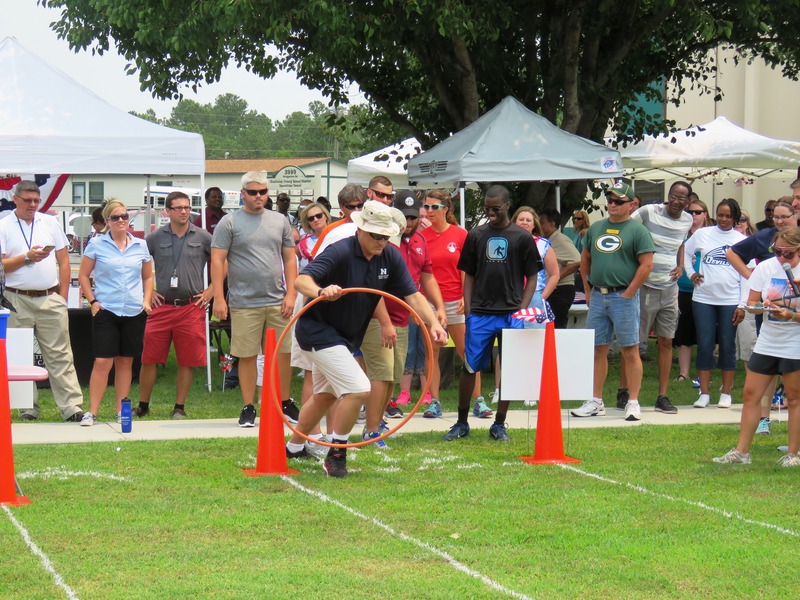 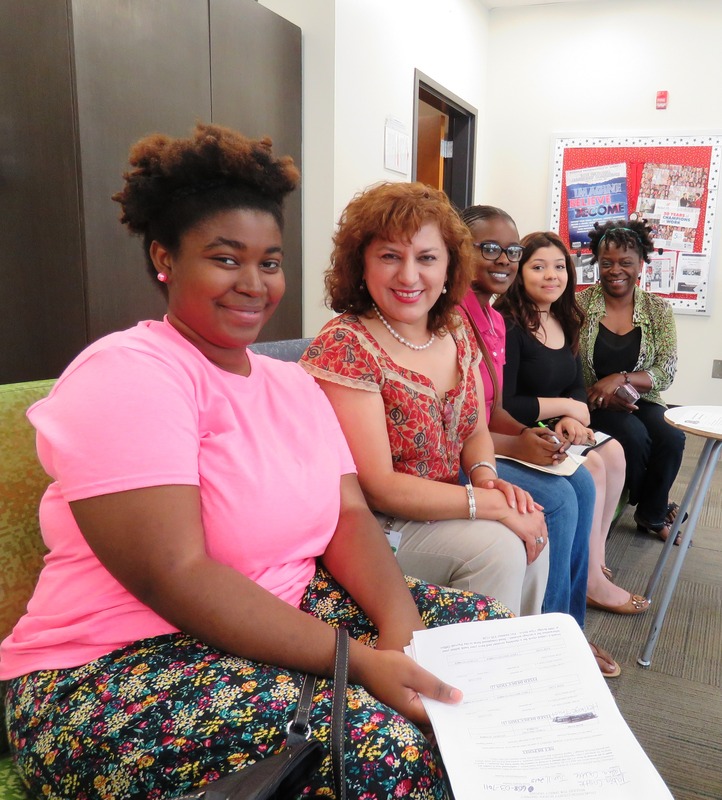 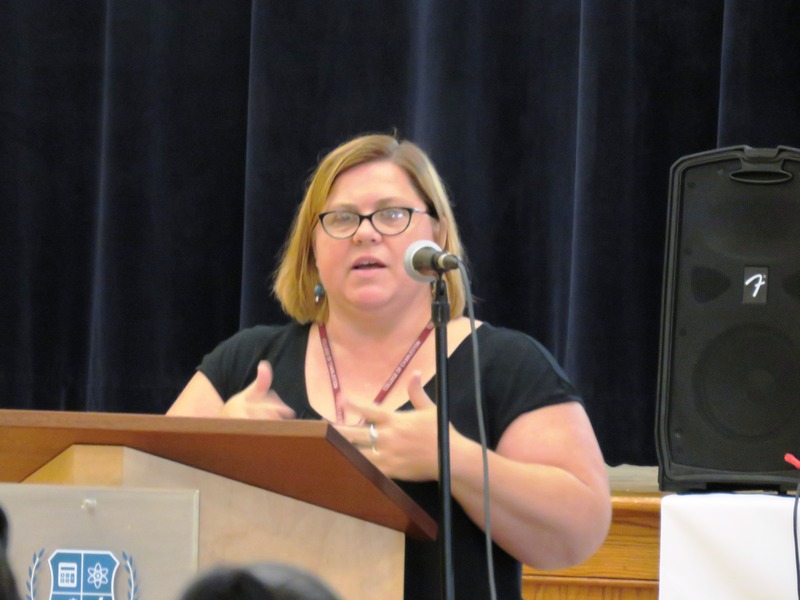 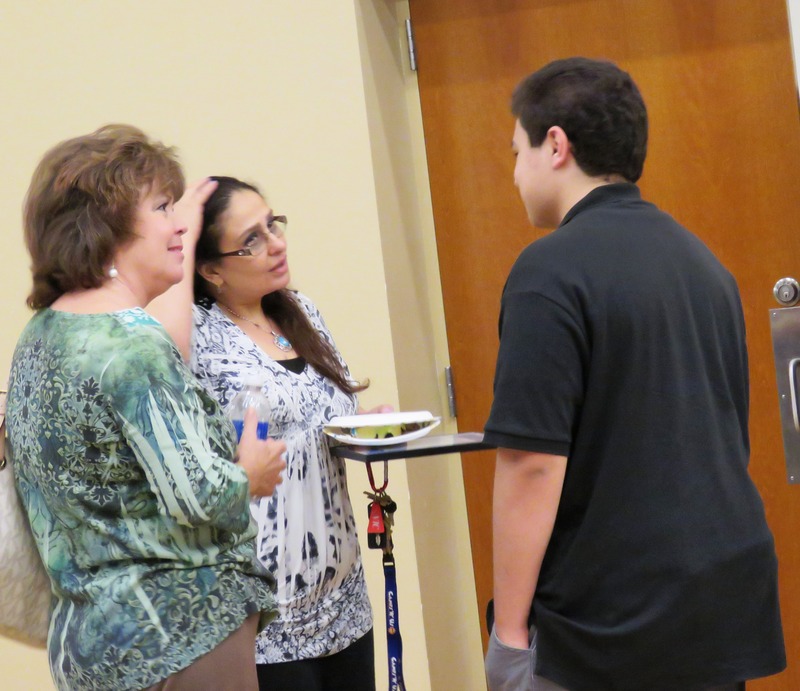 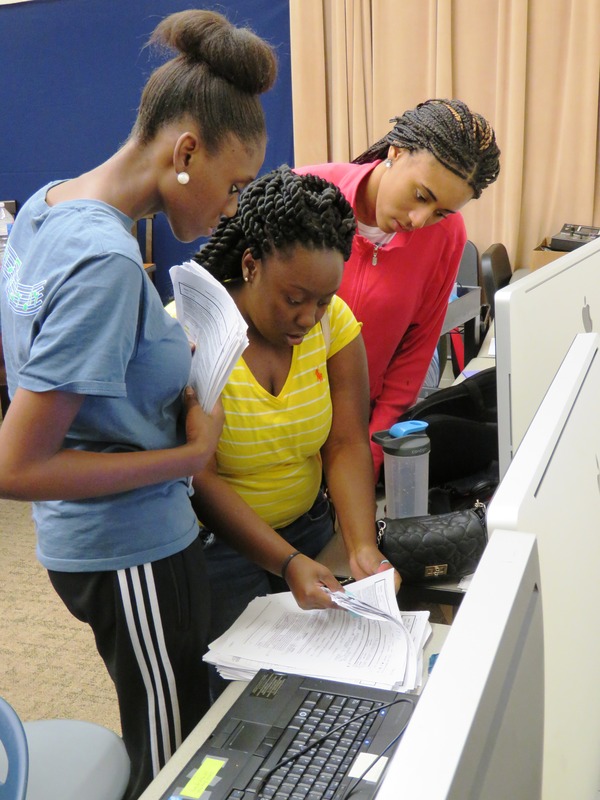 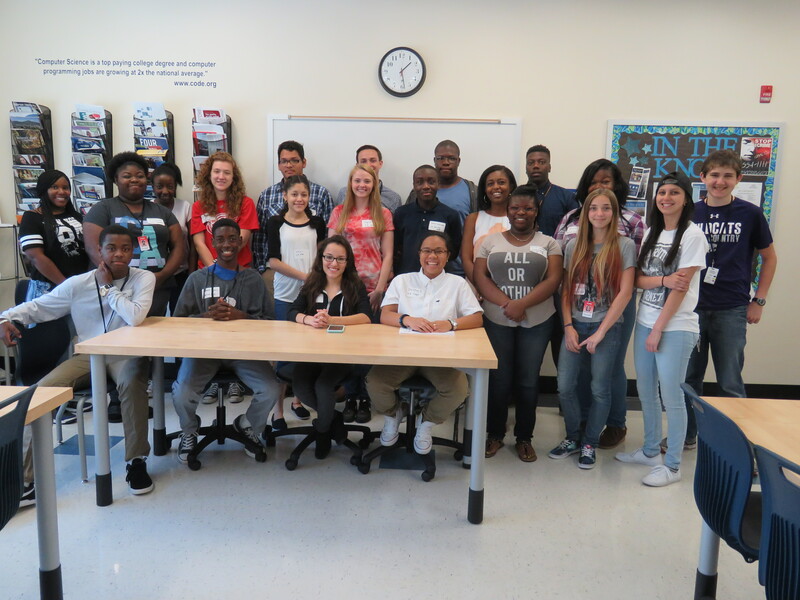 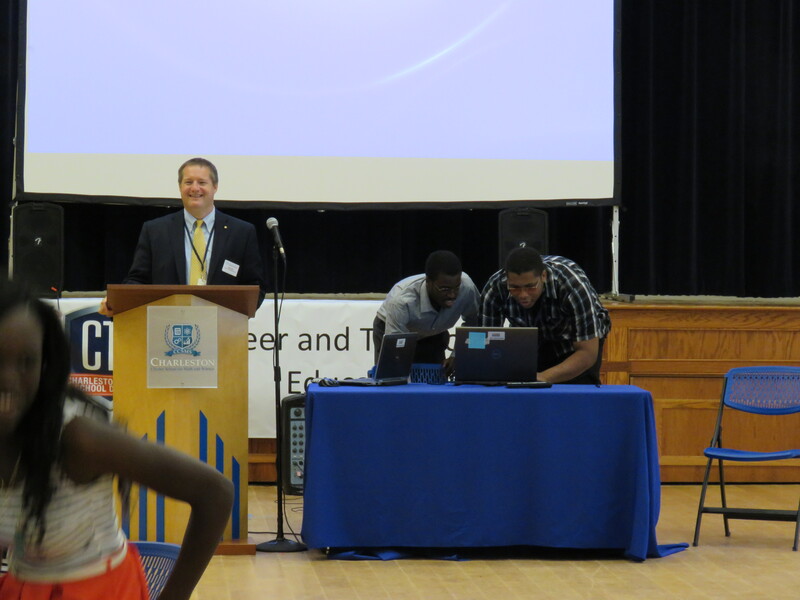 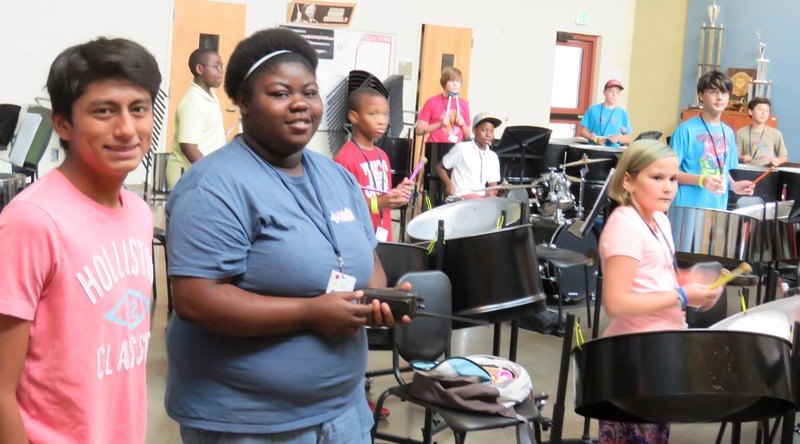 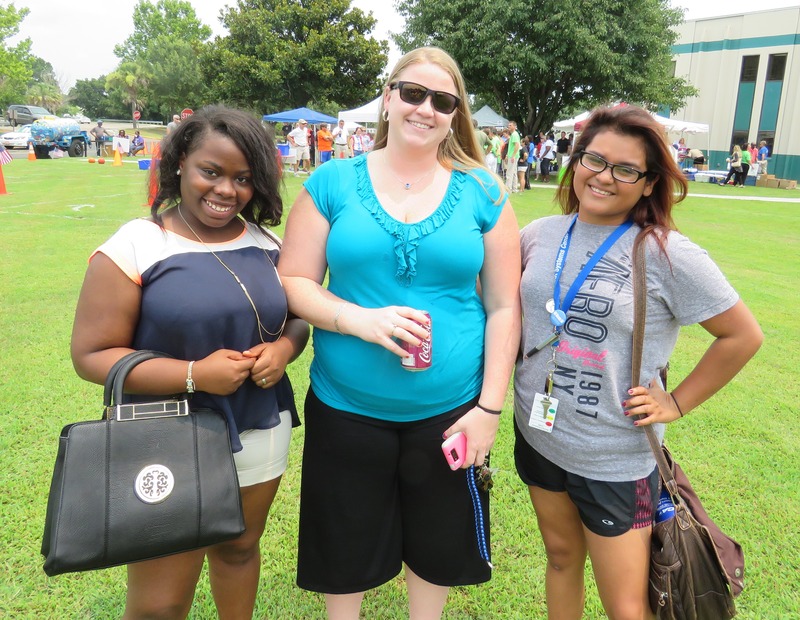 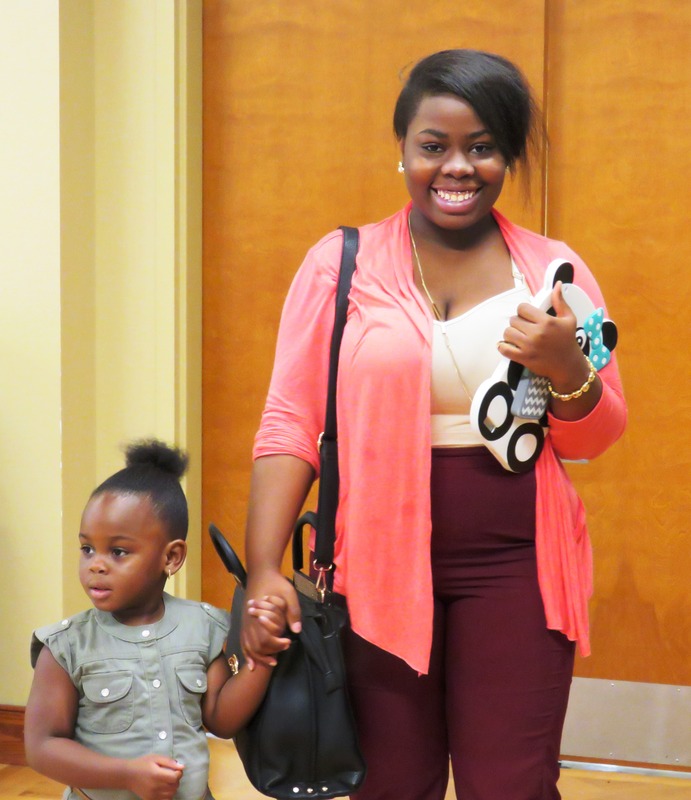 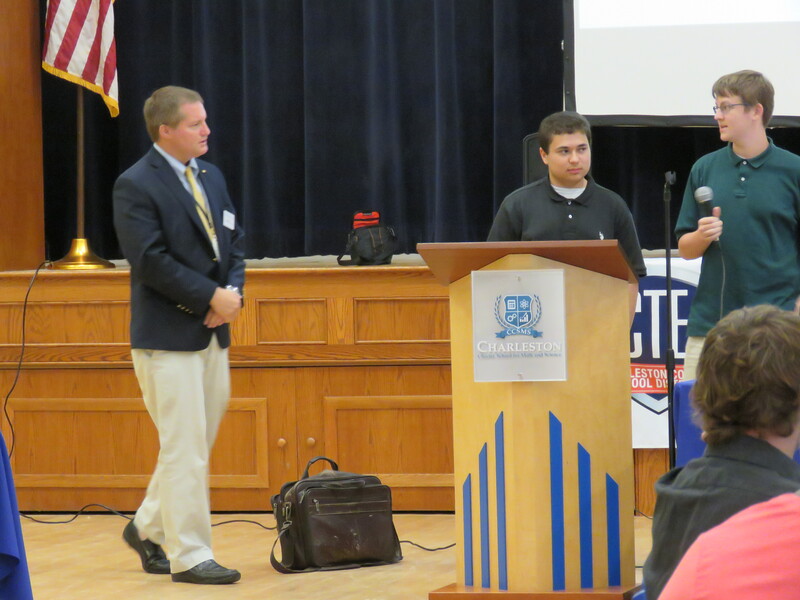 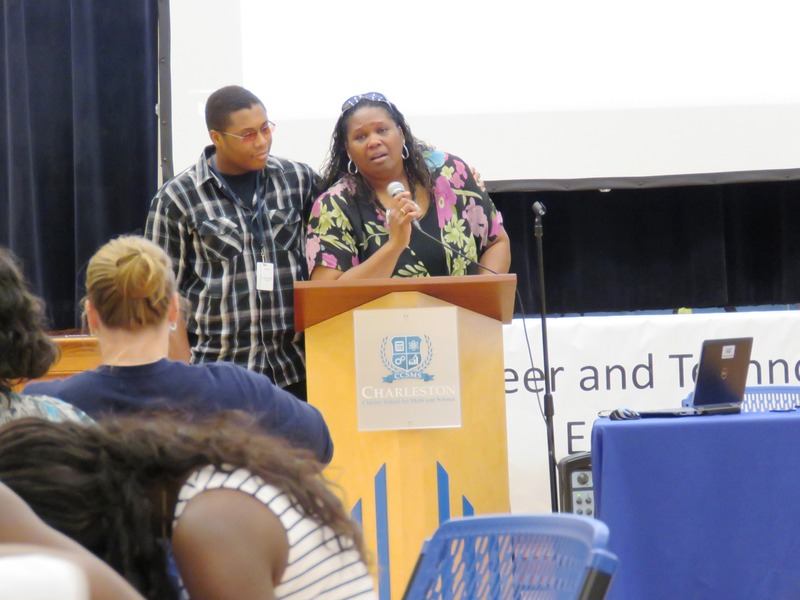 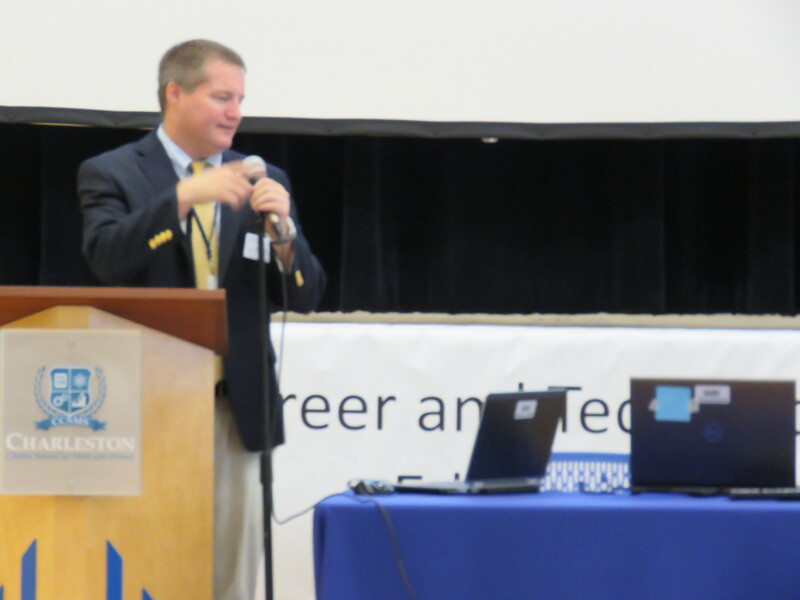 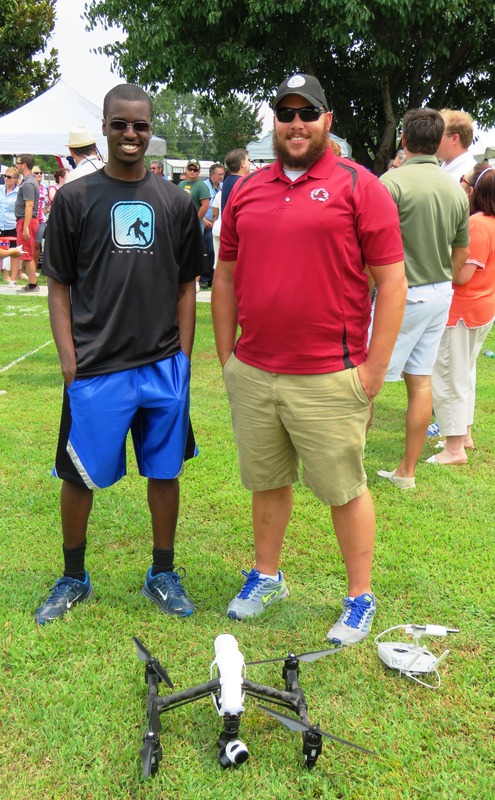 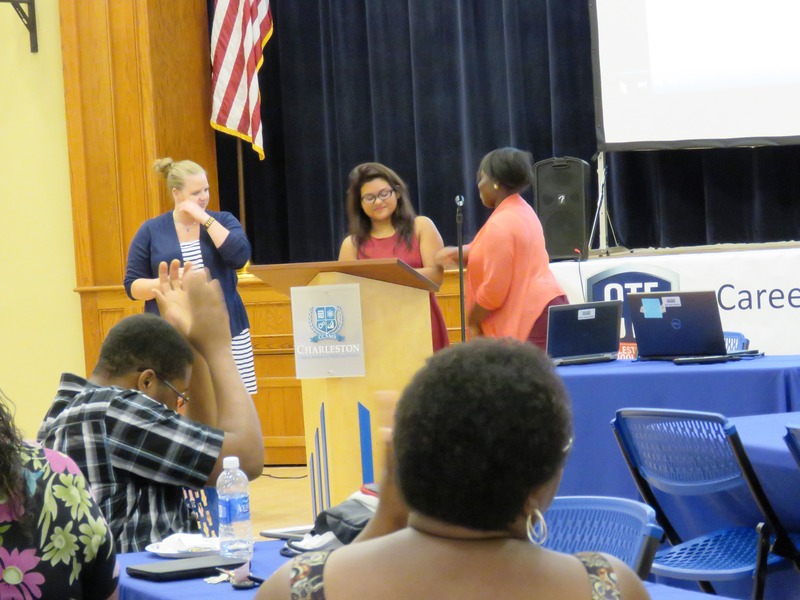 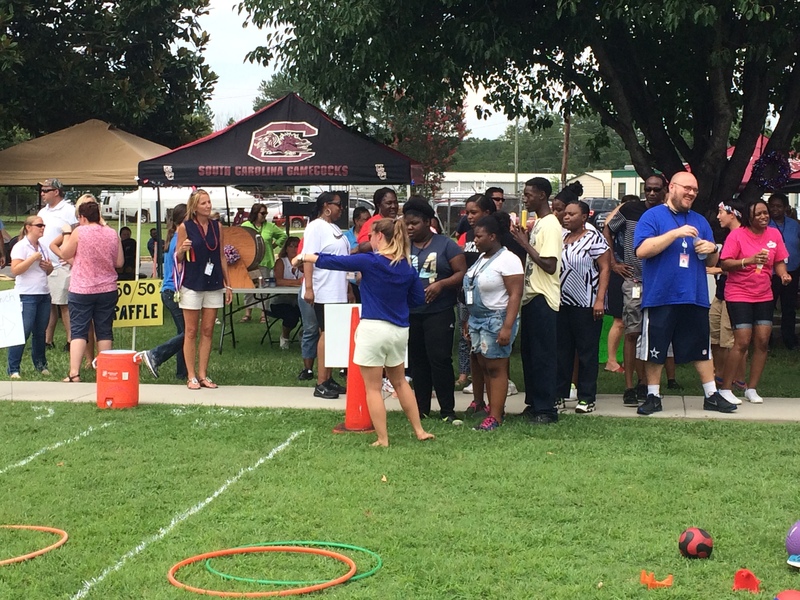 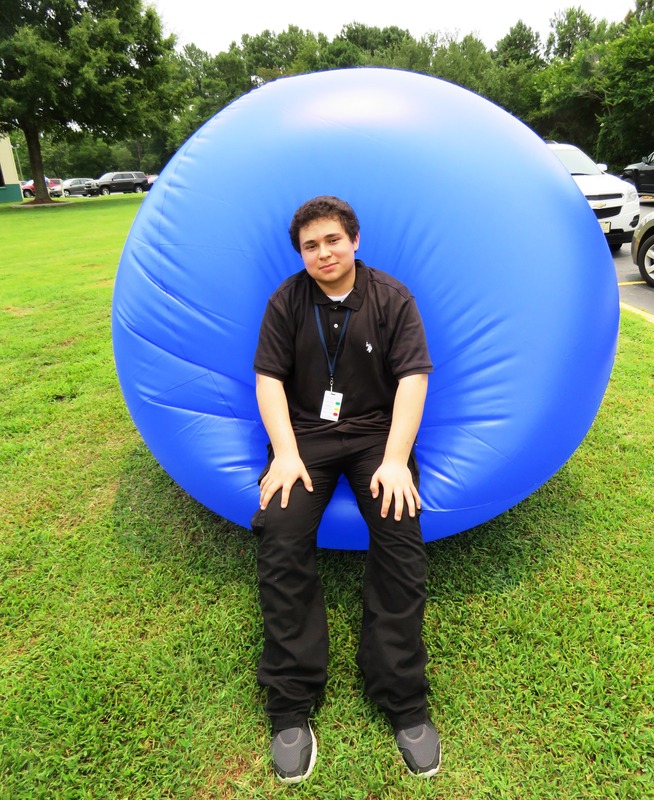 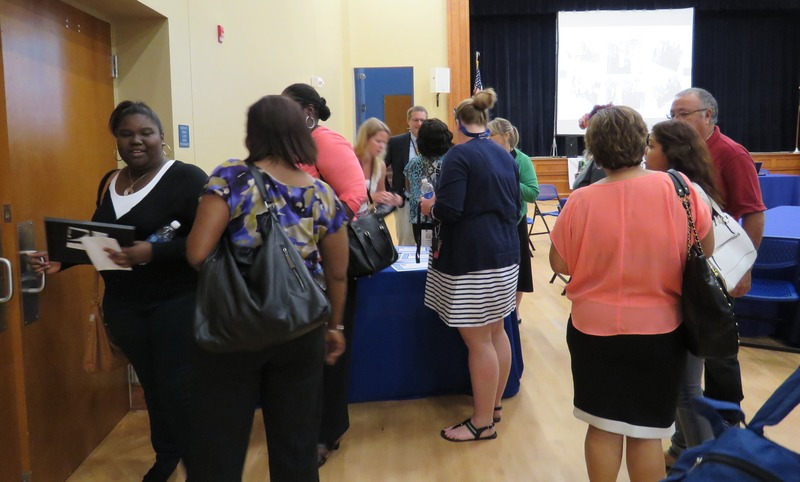 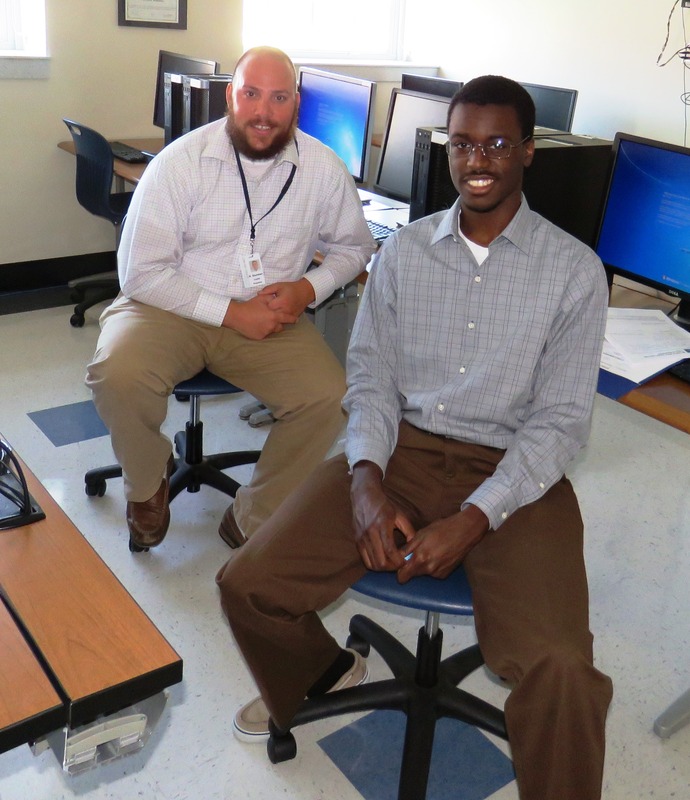 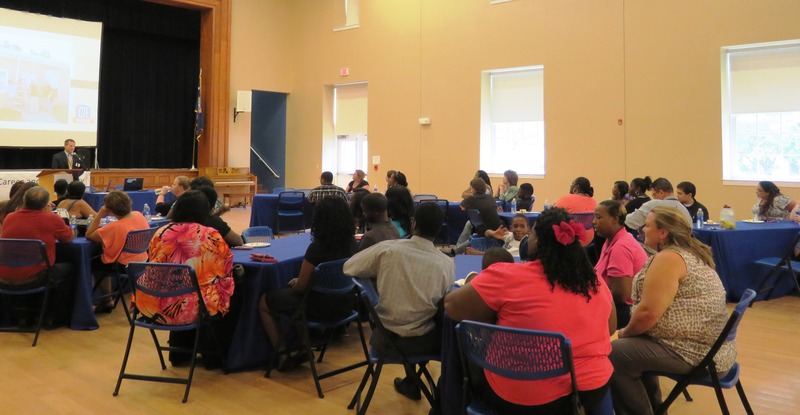 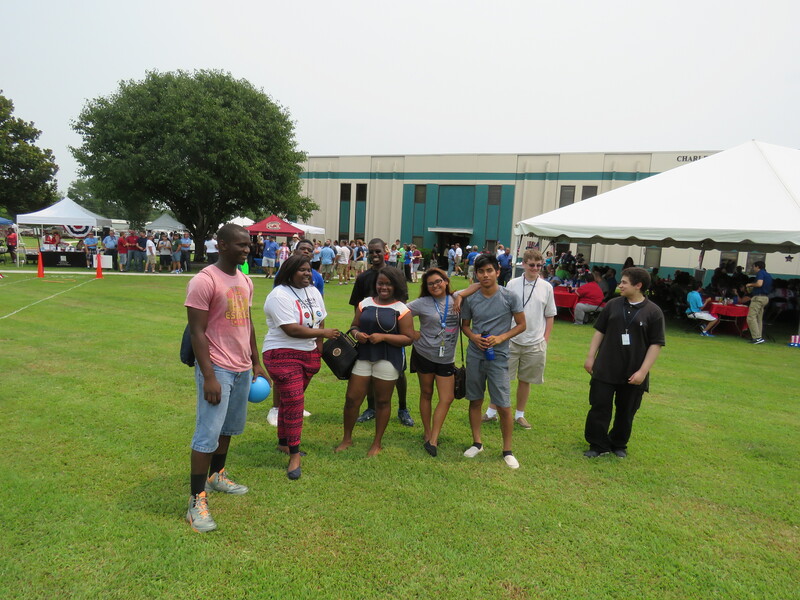 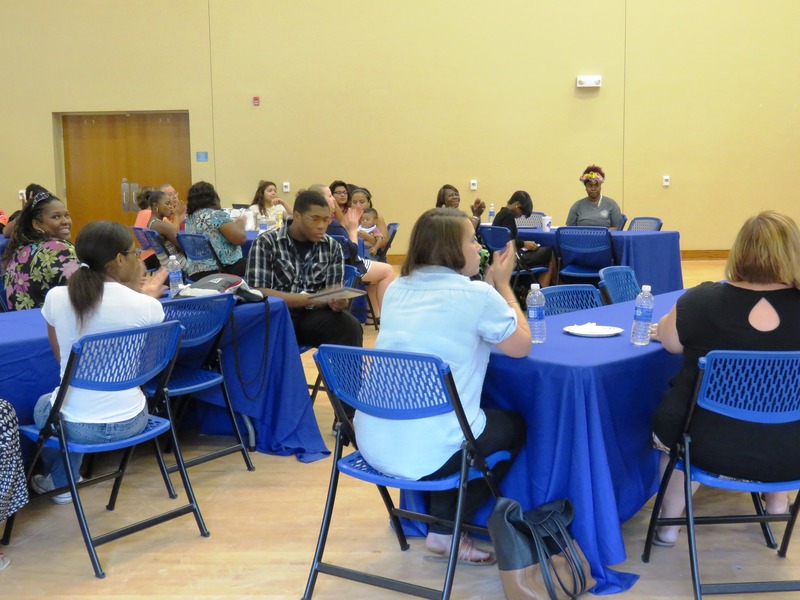 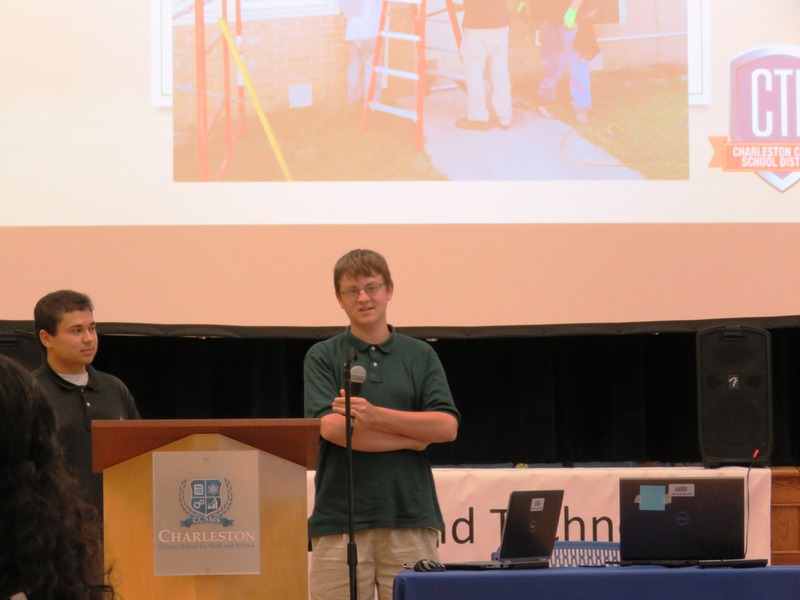 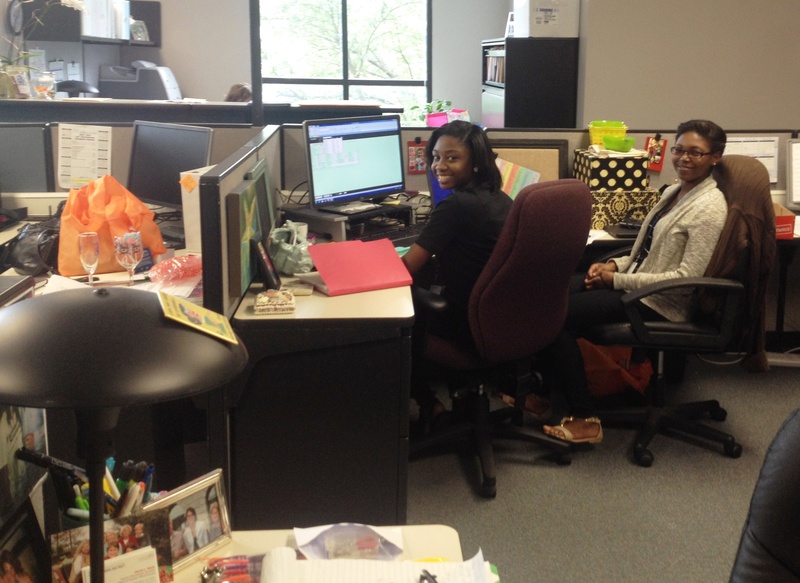 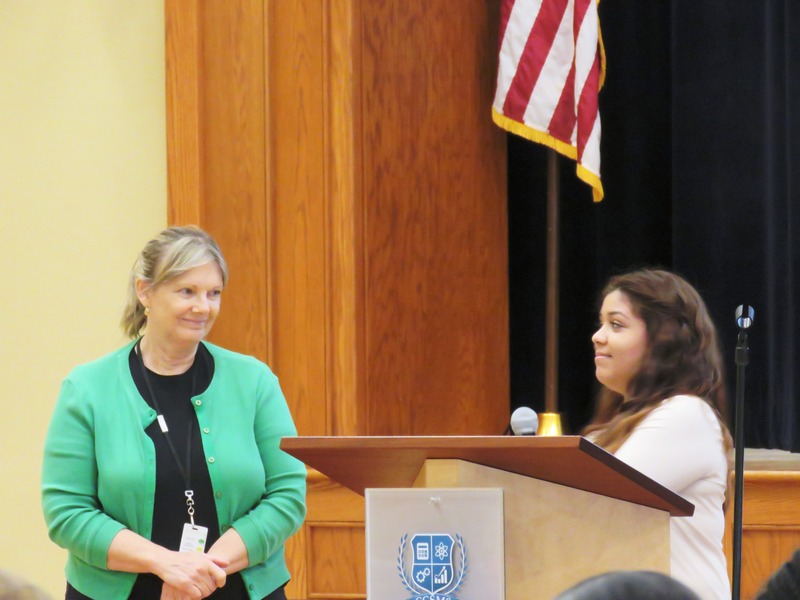 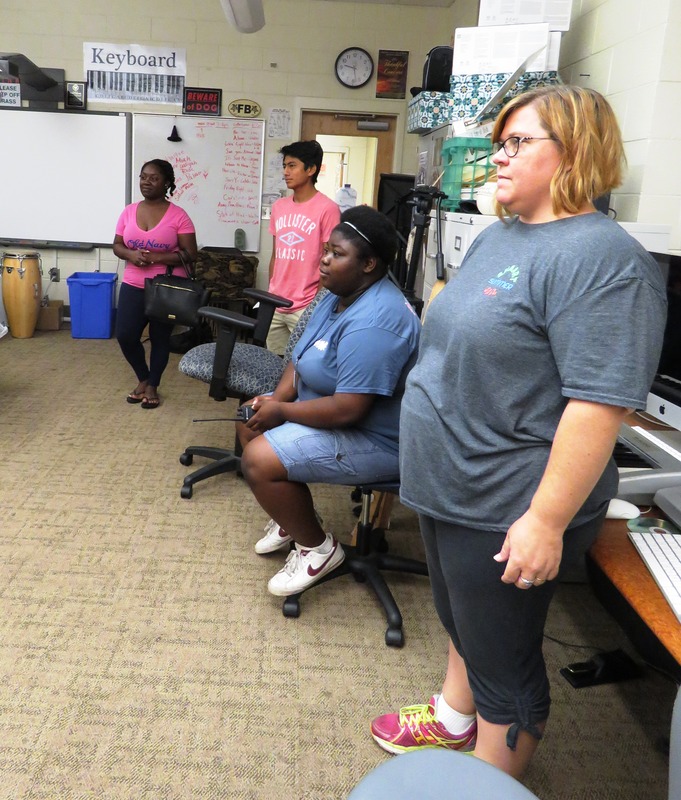 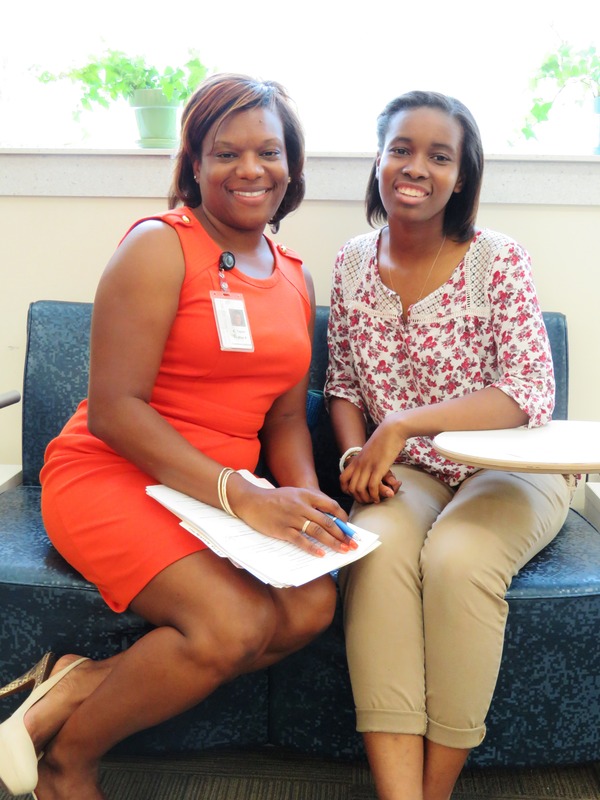 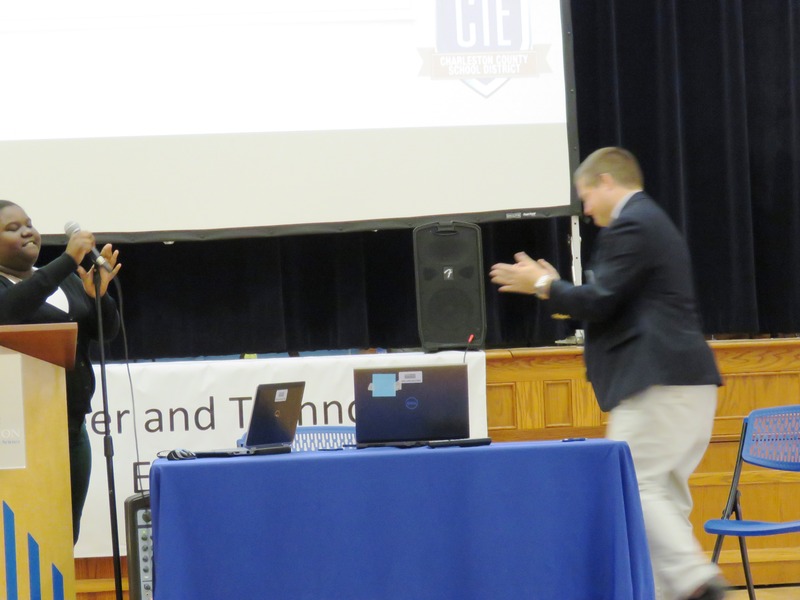 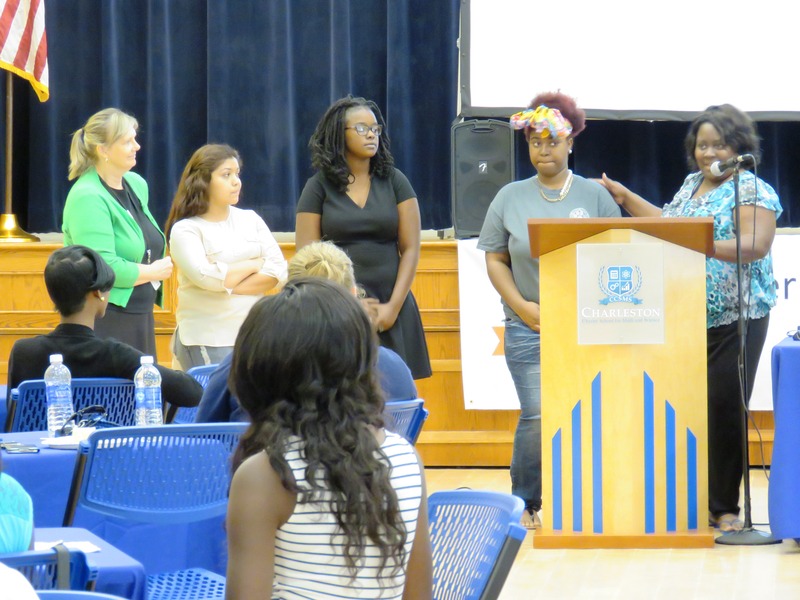 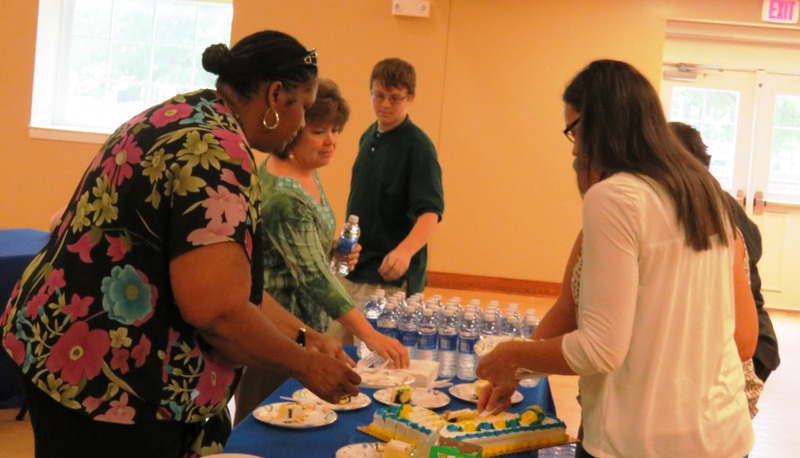 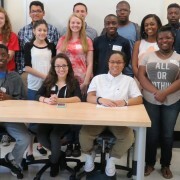 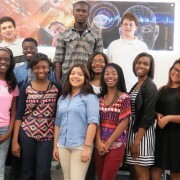 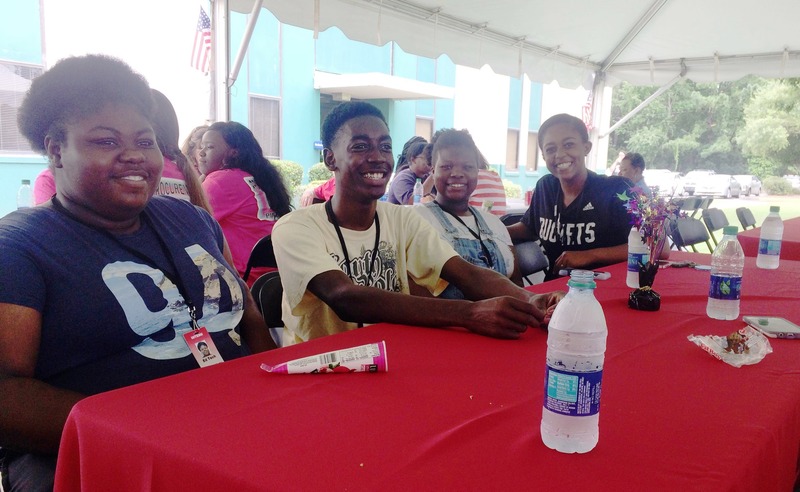 August 6, 2015 – Charleston, SC – Lowcountry Tech Academy was the host site for the annual “End of Summer Internships Celebration” on Thursday afternoon. 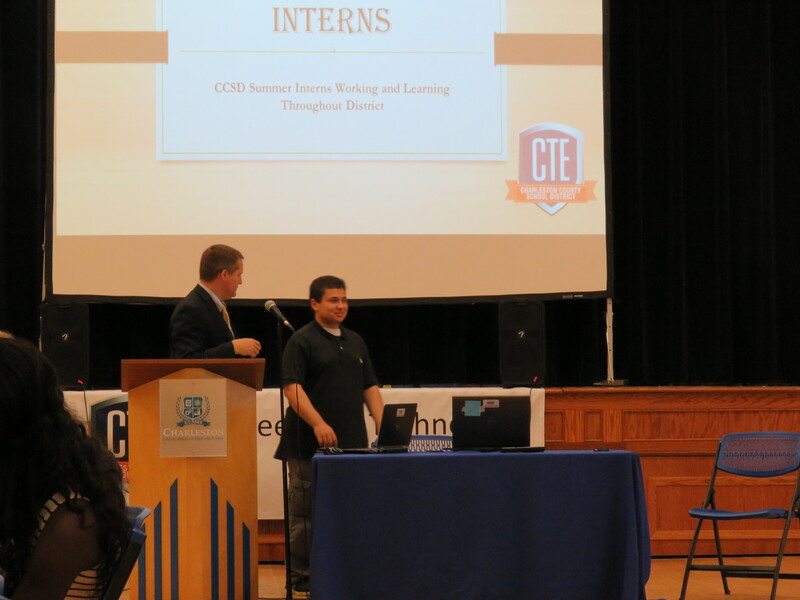 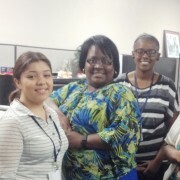 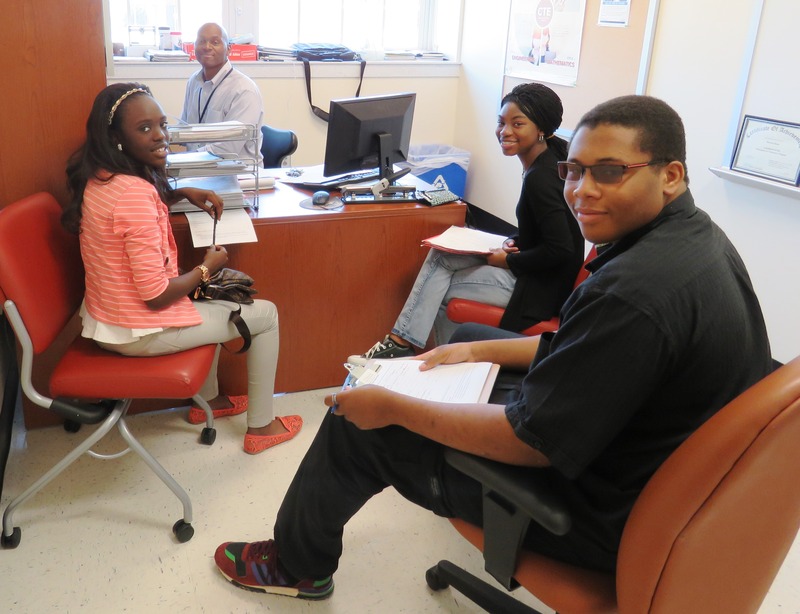 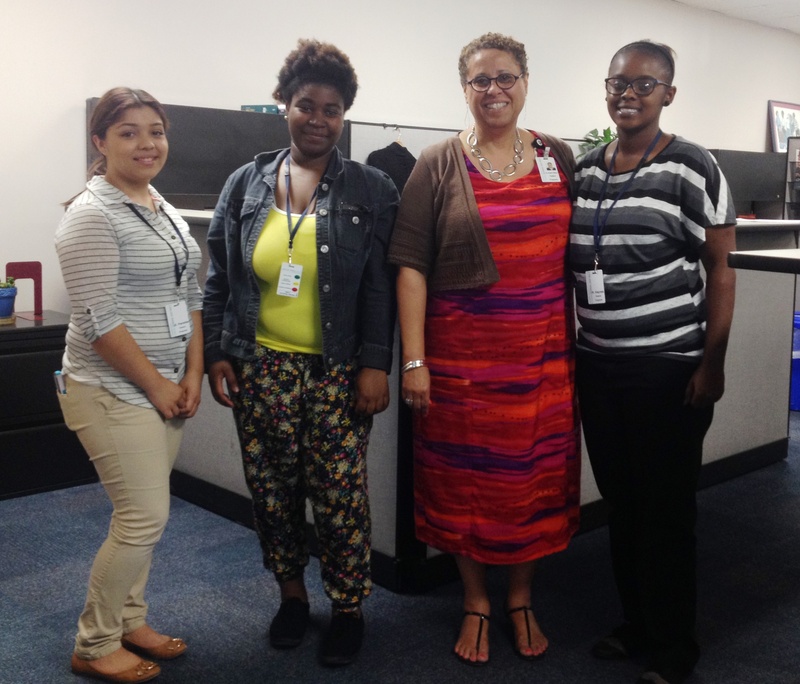 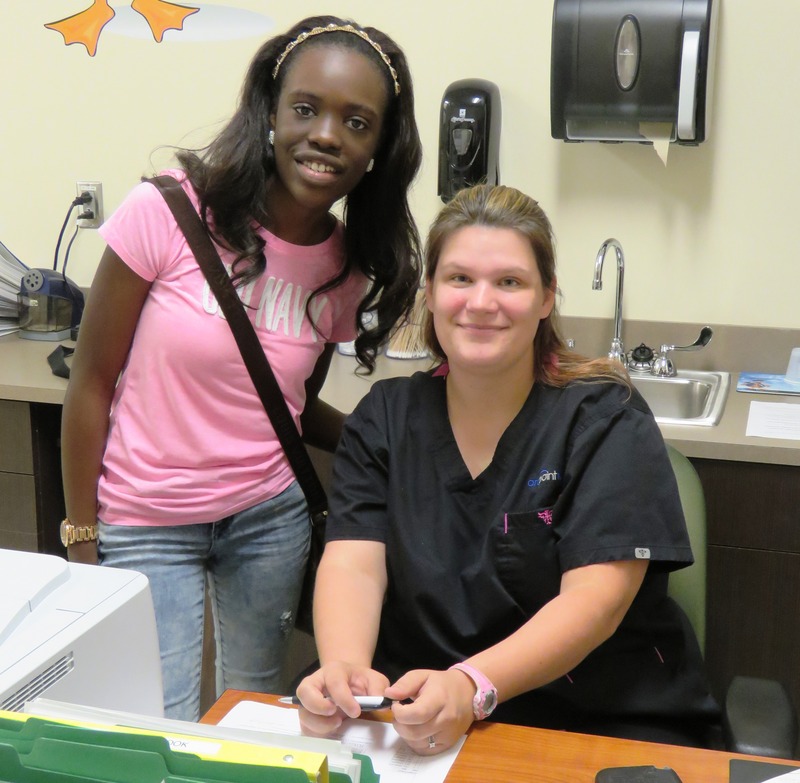 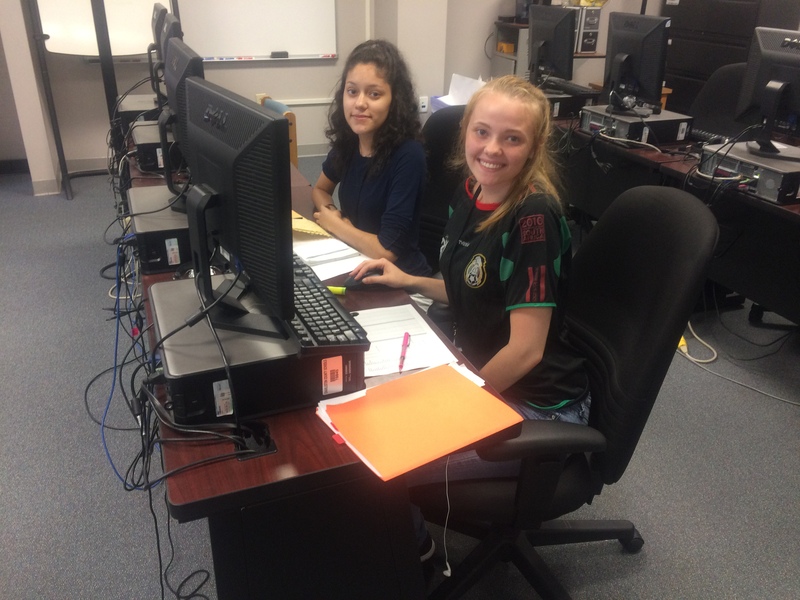 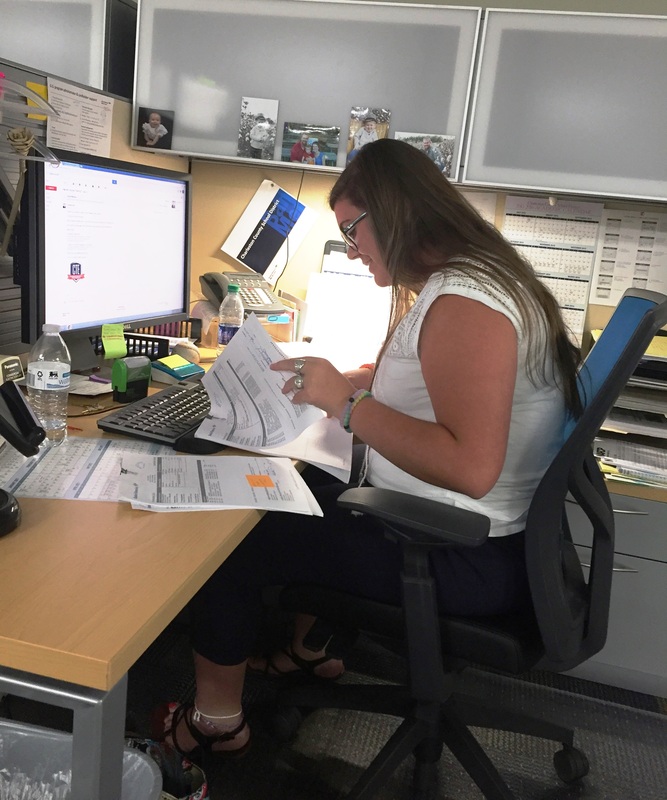 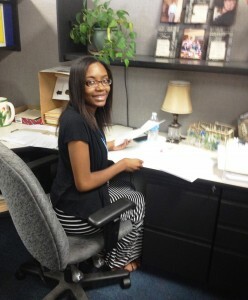 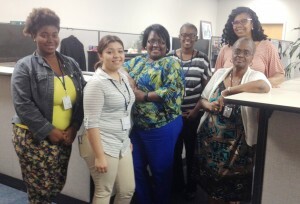 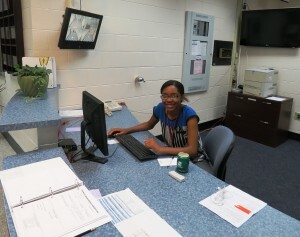 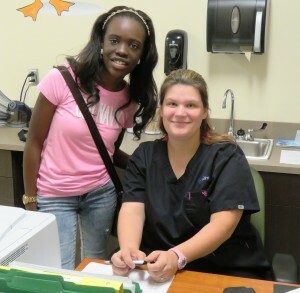 25 student interns successfully completed their “Learn & Earn” experiences with various CCSD departments and will receive high school credit to go with the paychecks they’ve been earning all summer. 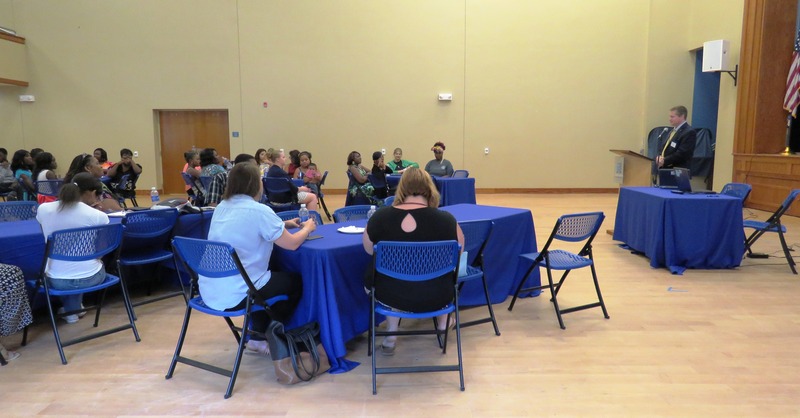 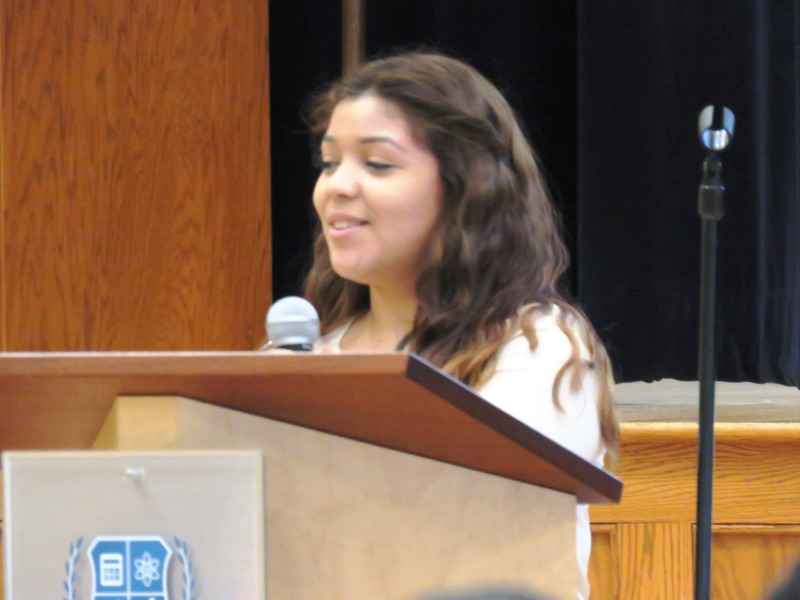 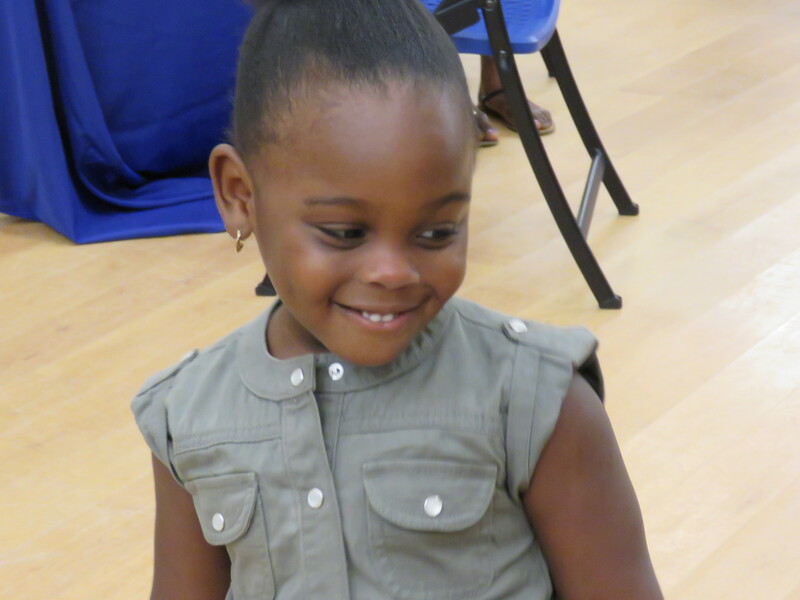 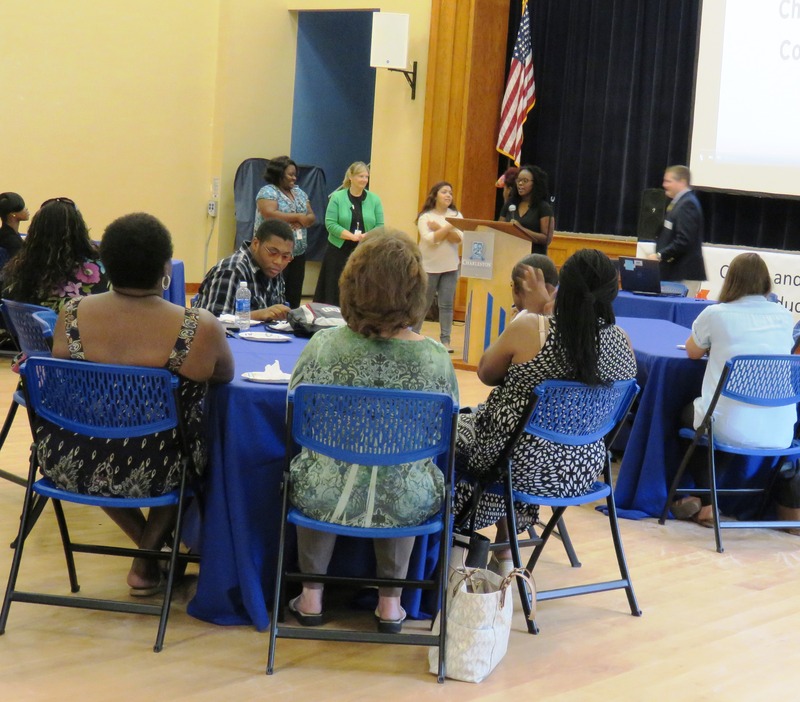 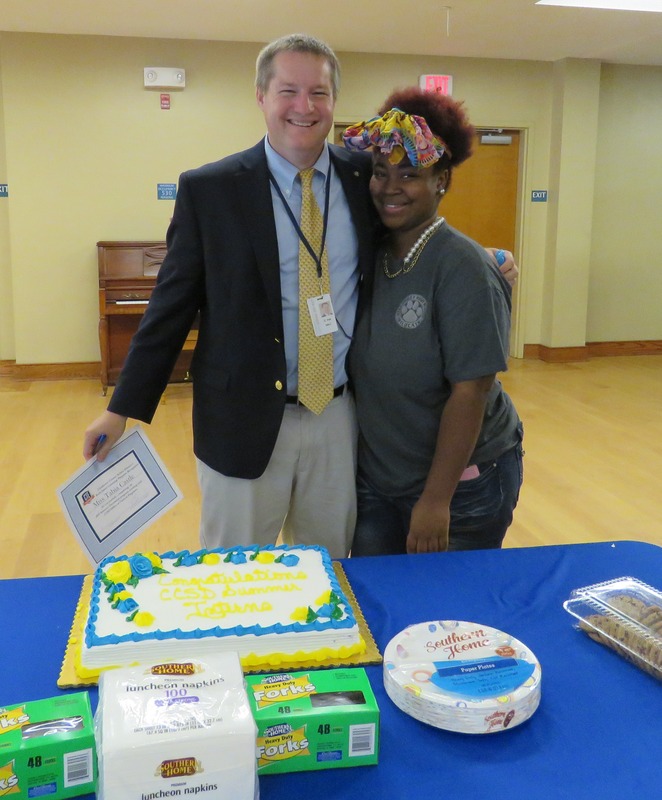 Their families came together Thursday afternoon with worksite supervisors and other supporters of the program to share stories and enjoy a special celebratory cake. 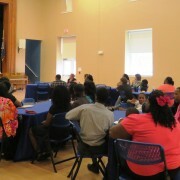 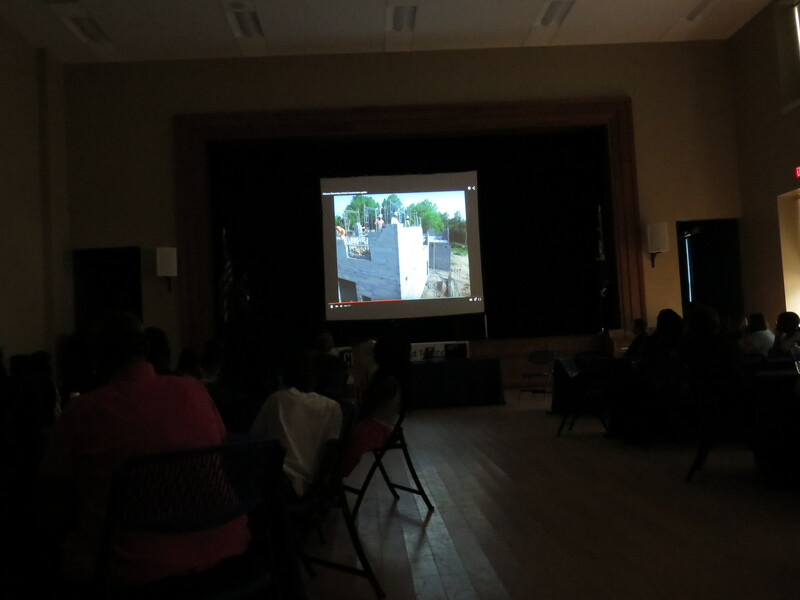 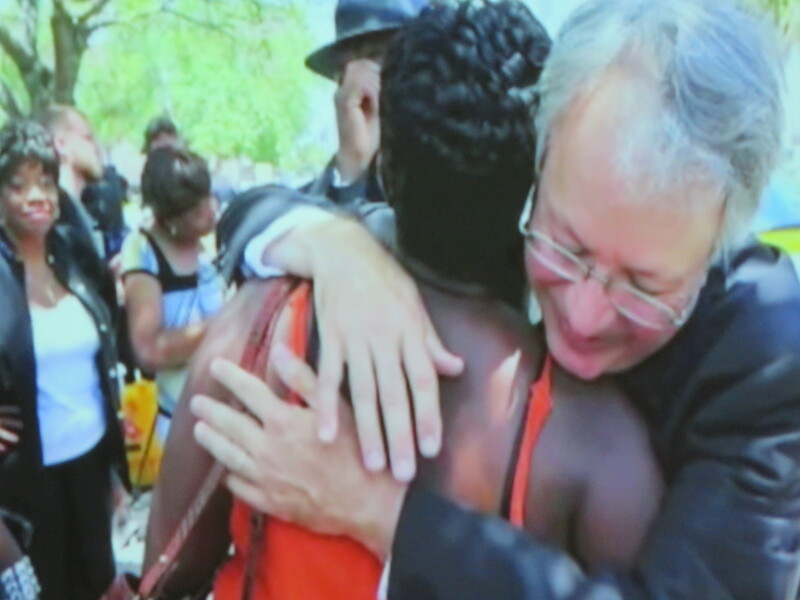 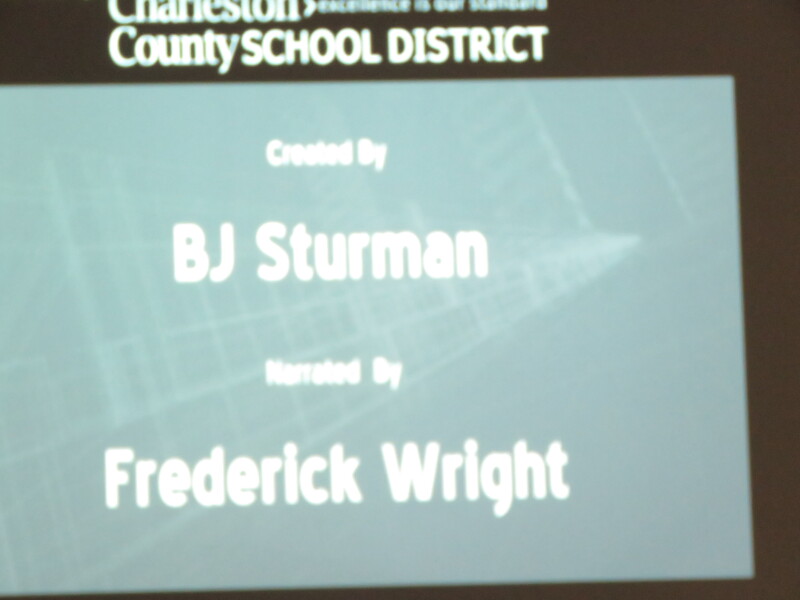 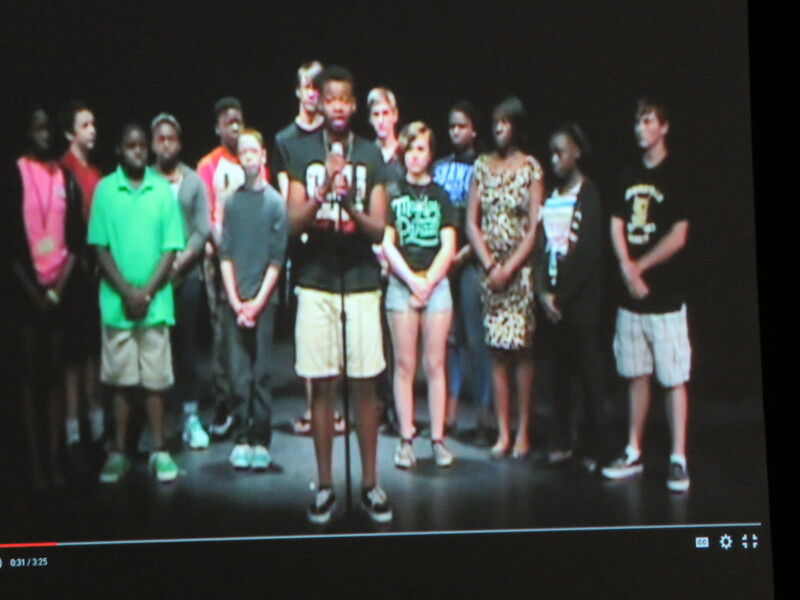 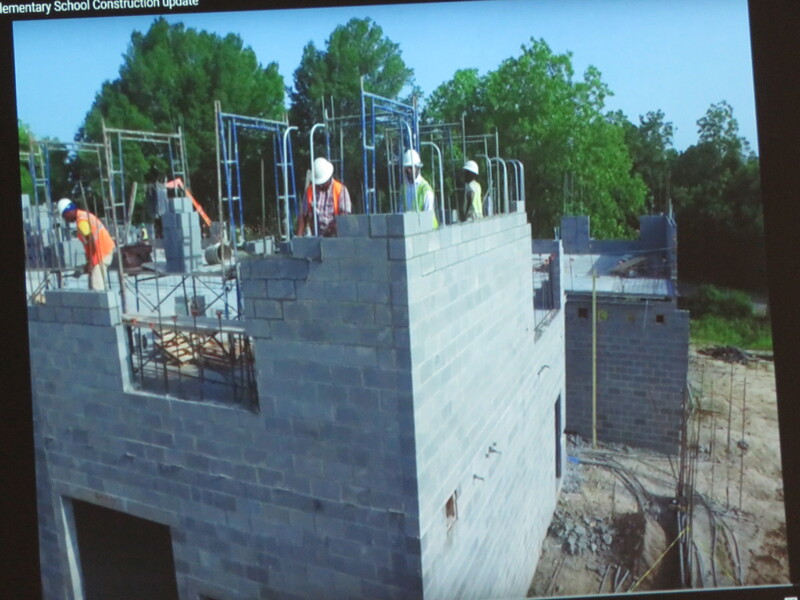 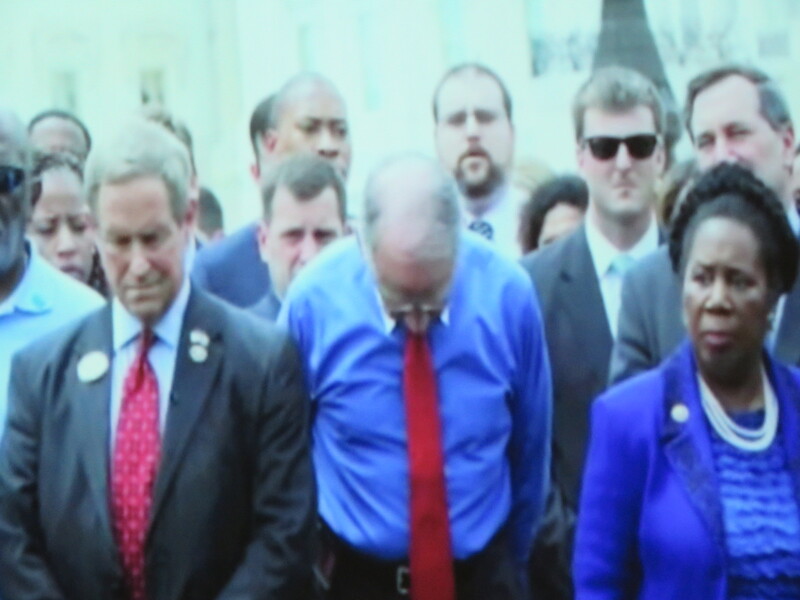 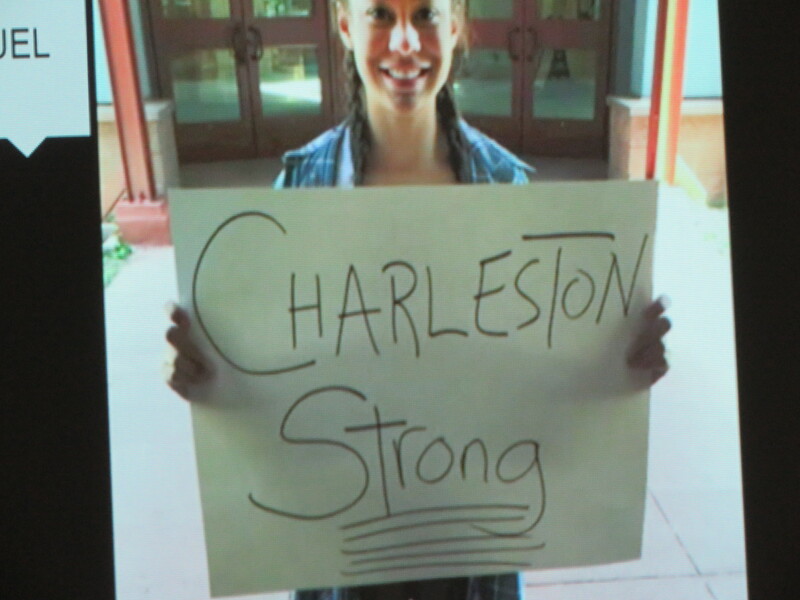 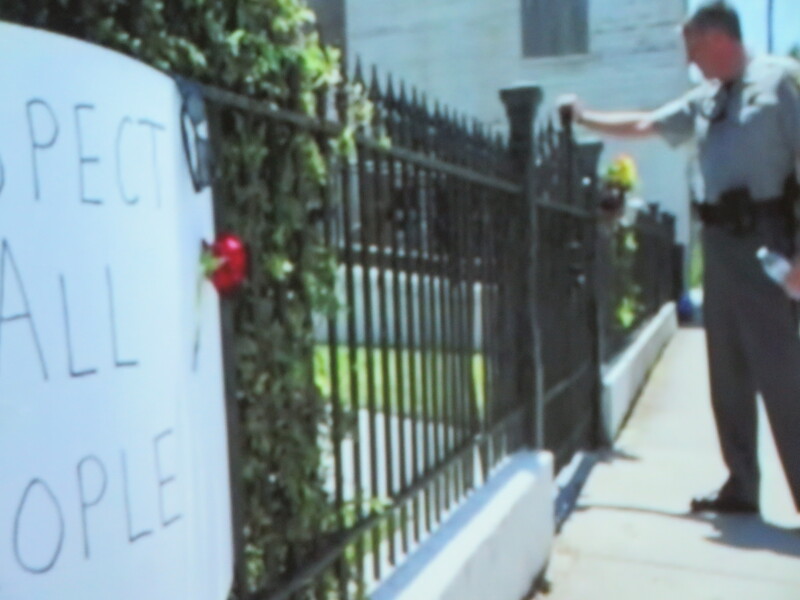 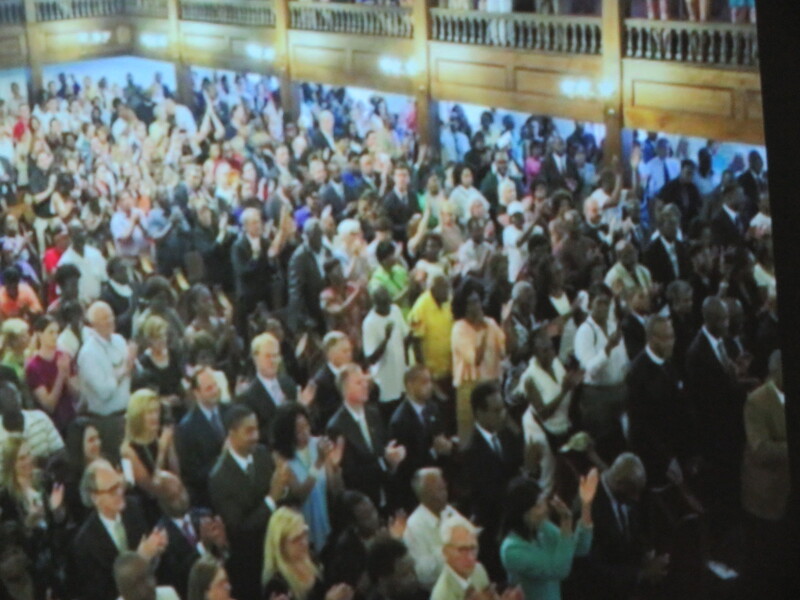 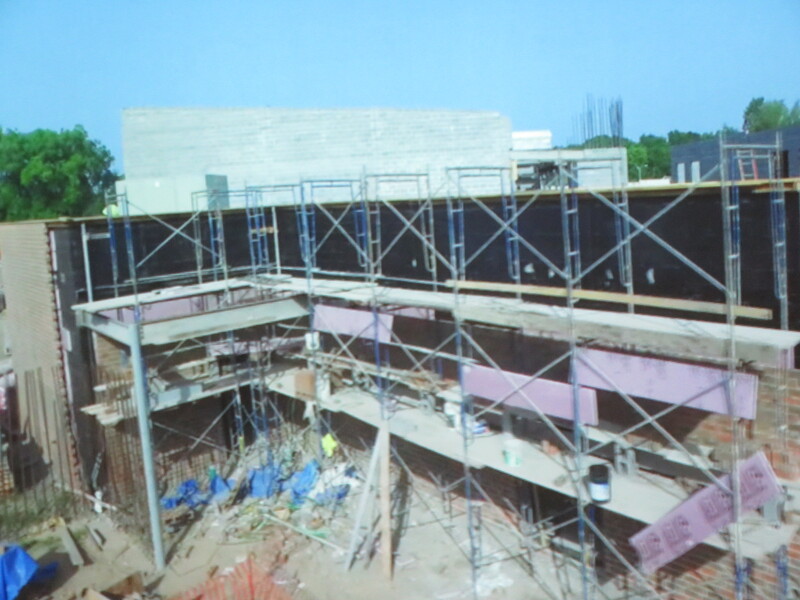 After everyone had a chance to share about their experiences, two videos were shown: 1) a video on the construction of the new Chicora Elementary School from the district Capital Improvements department that summer intern Frederick Wright narrated ; 2) a powerful video tribute to the 9 Charlestonians that died in the shooting at Emanuel AME Church on June 17th that several interns assigned to the CCSD Fine Arts department assisted in producing. 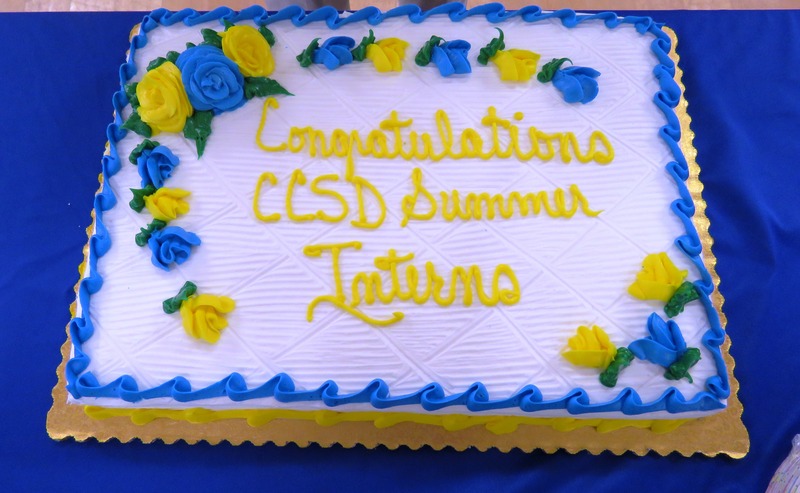 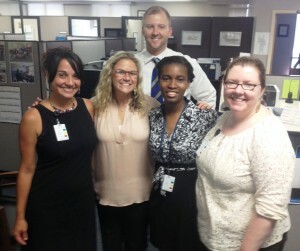 Thanks to all the district departments for welcoming these students into their teams, and to everyone that invested time and effort into the Summer Internship program this year. 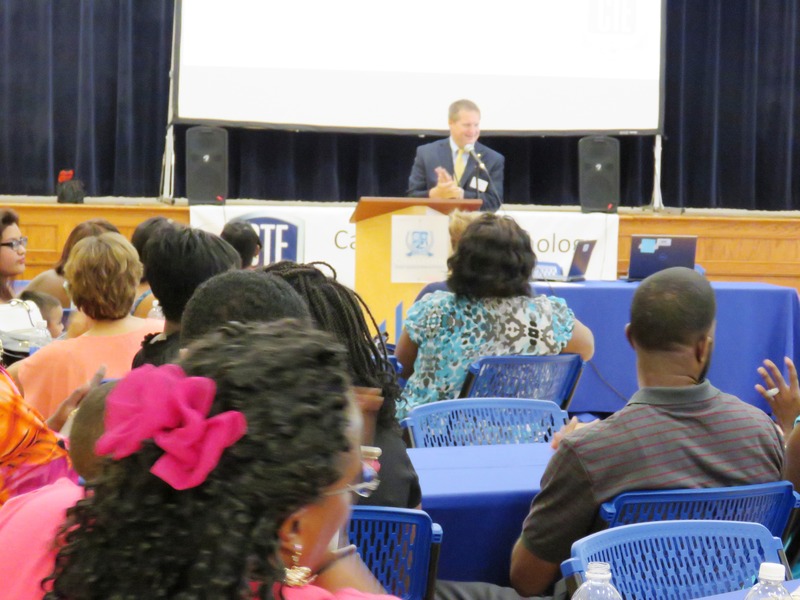 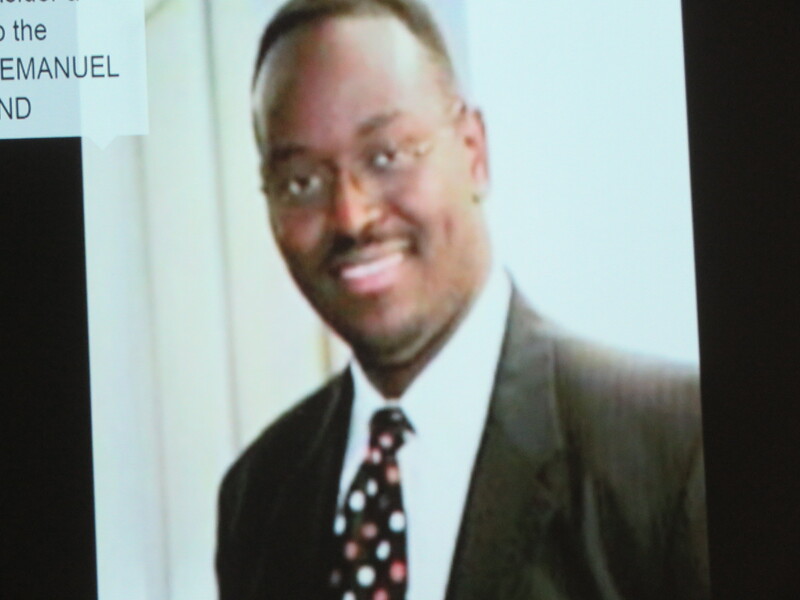 Special thanks to Michael Bobby, CCSD Chief Financial Officer for his support and encouragement of this program.